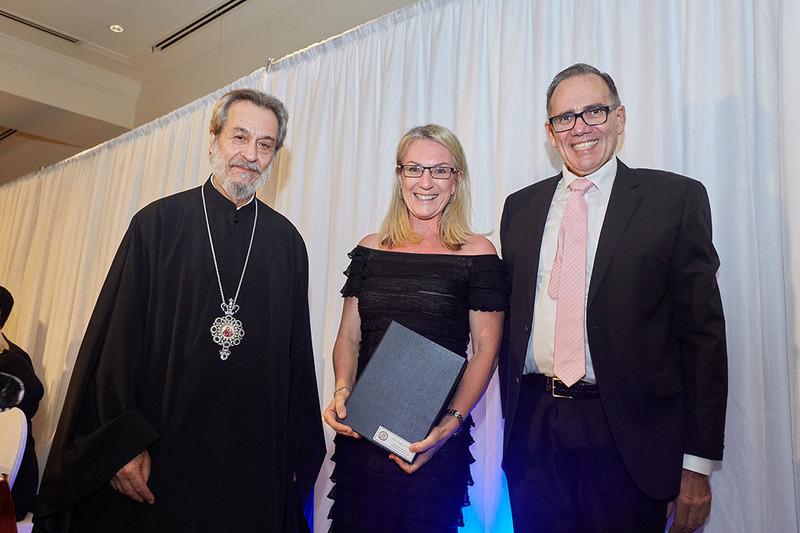 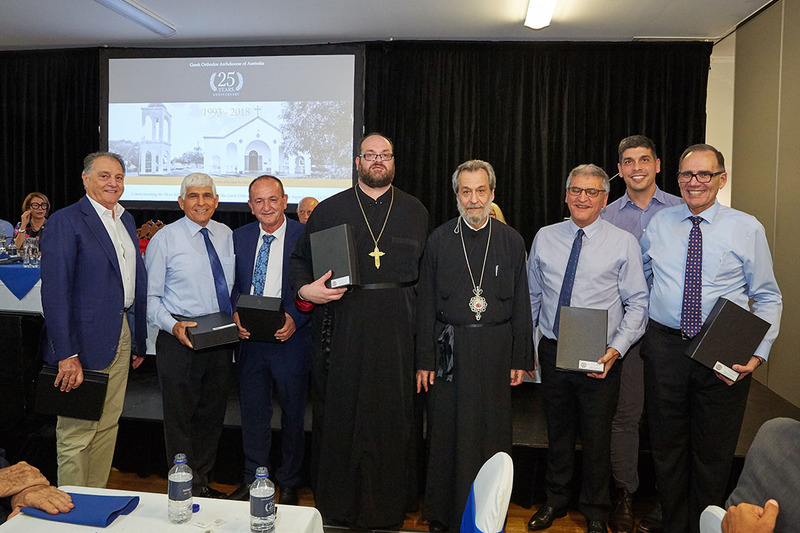 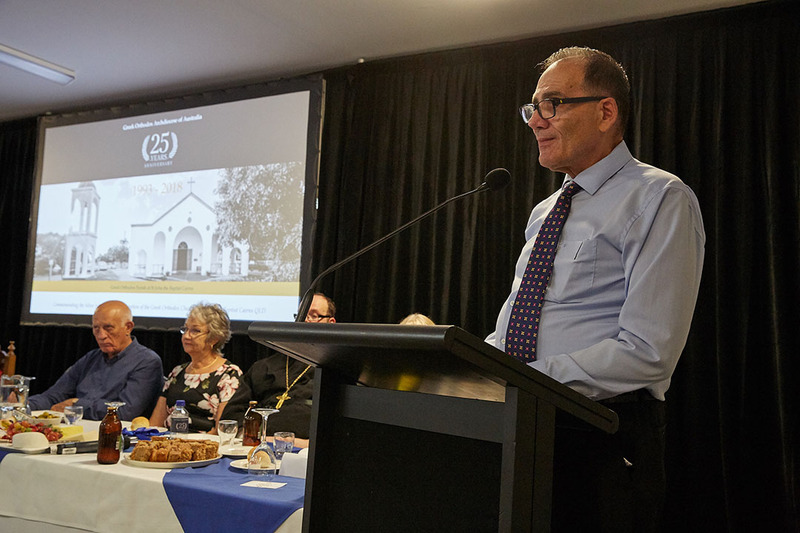 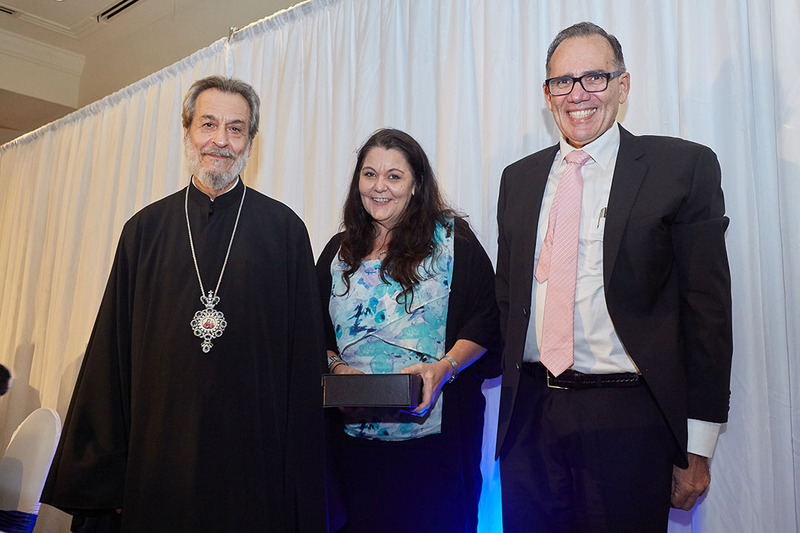 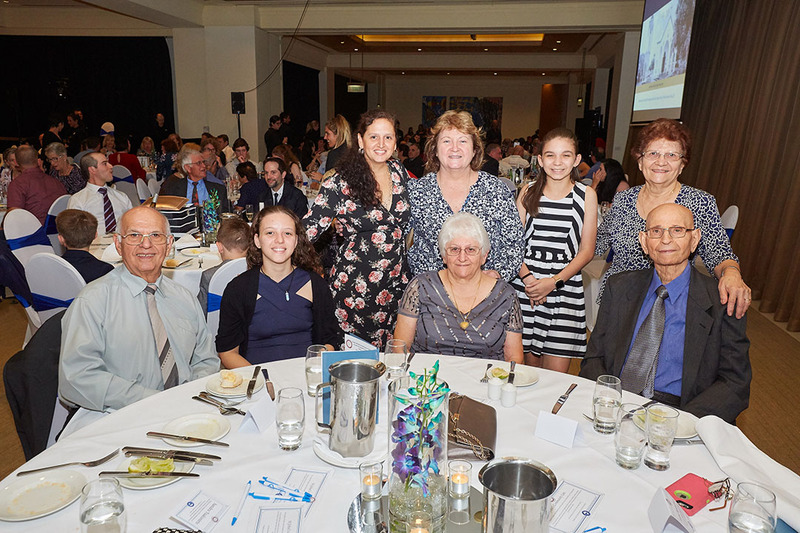 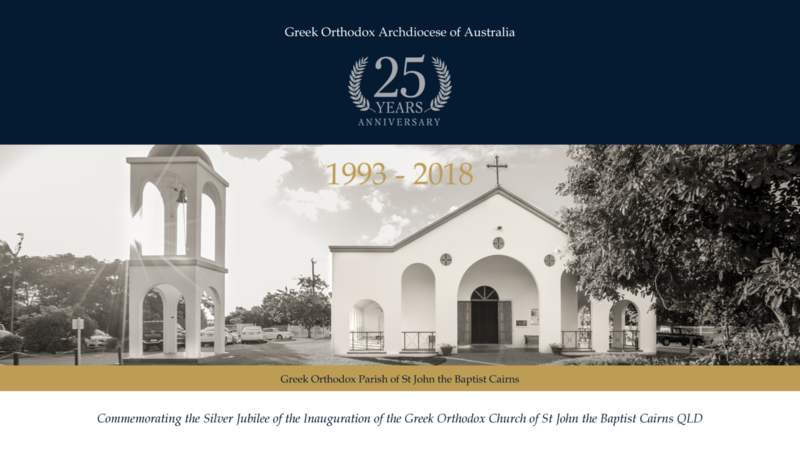 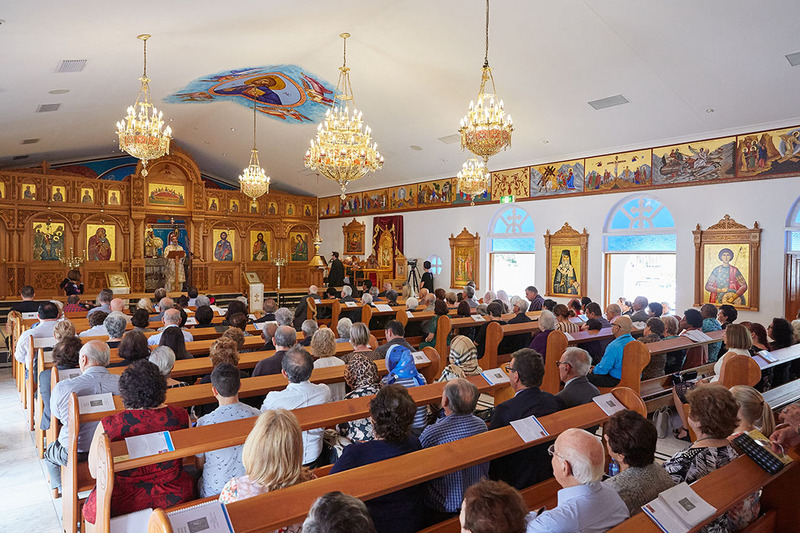 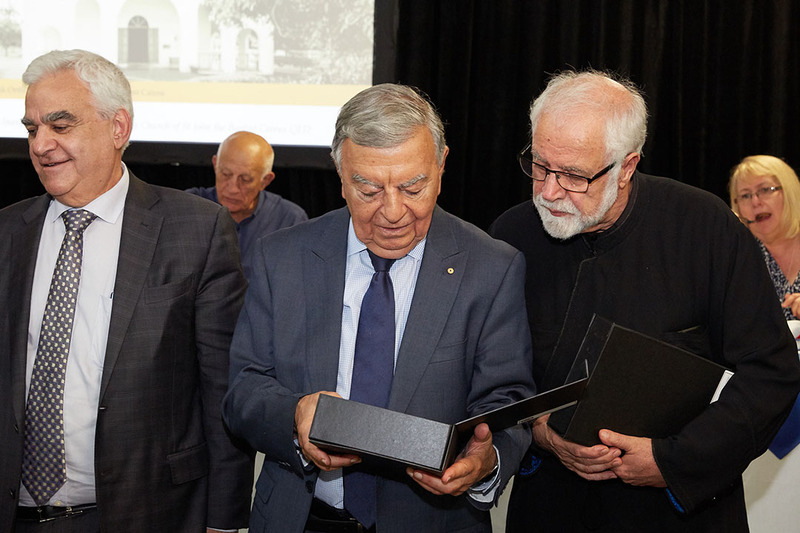 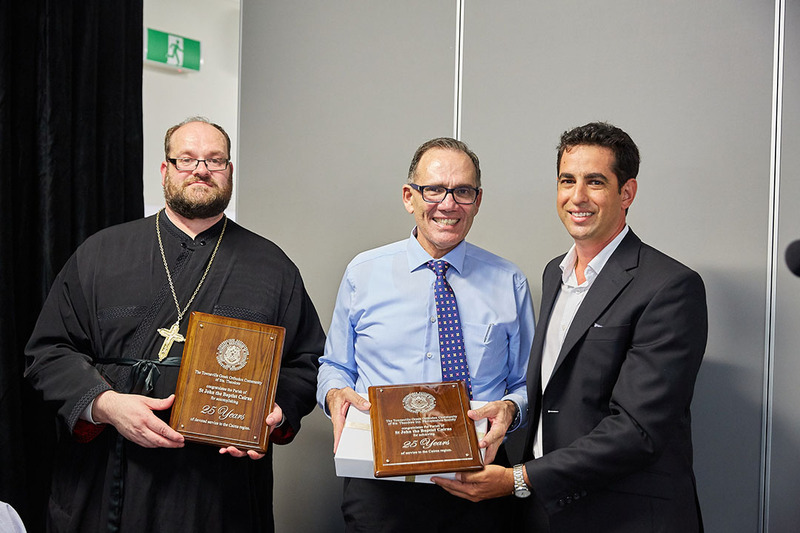 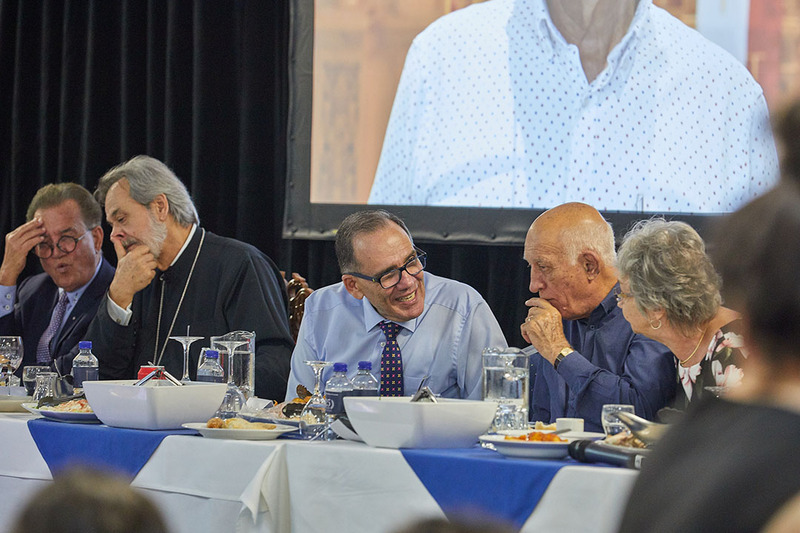 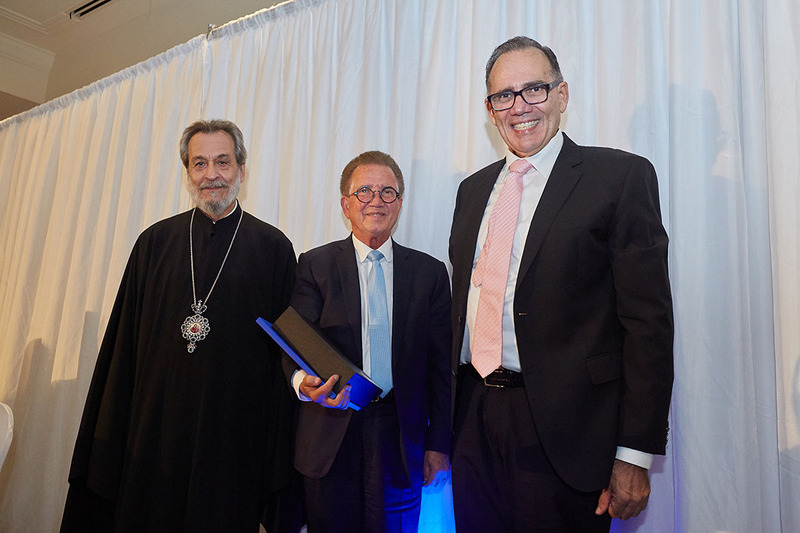 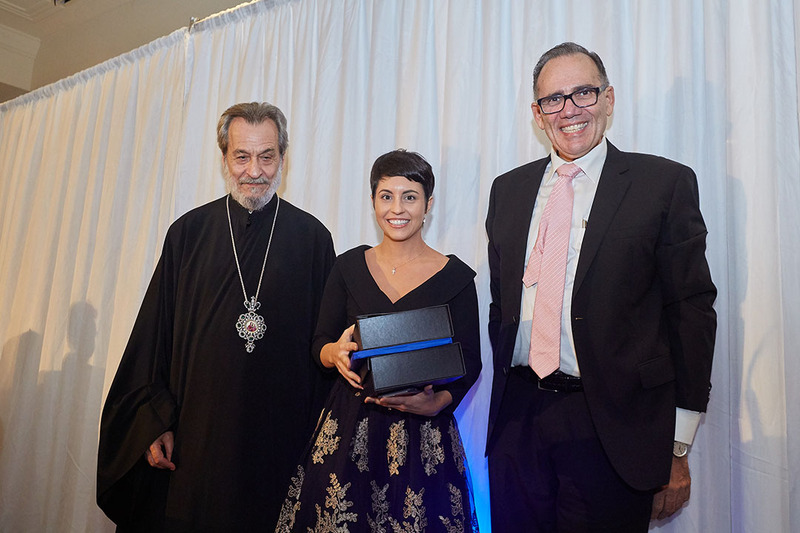 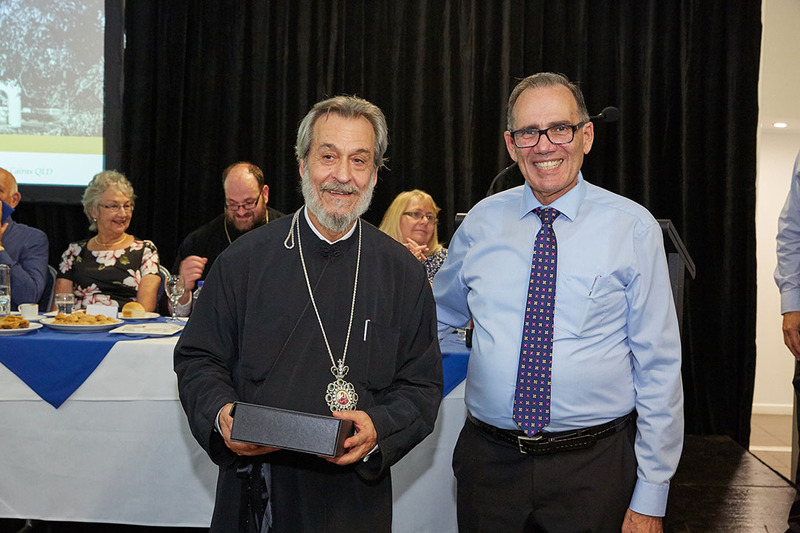 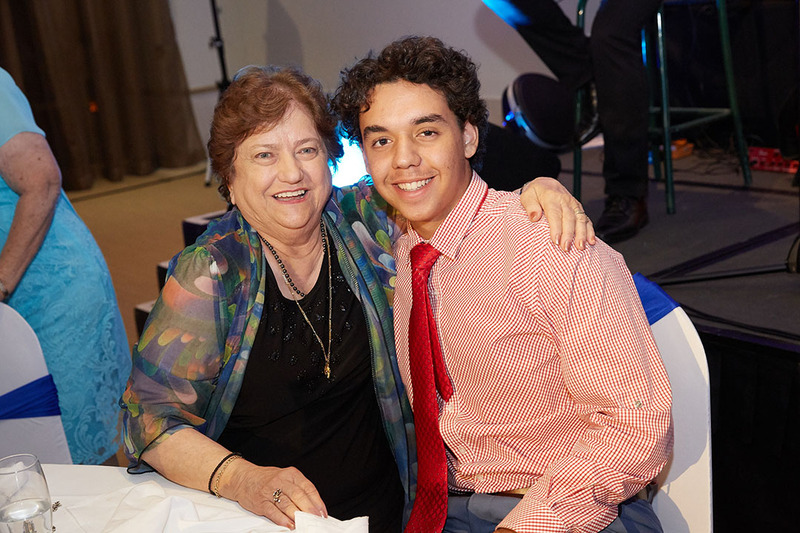 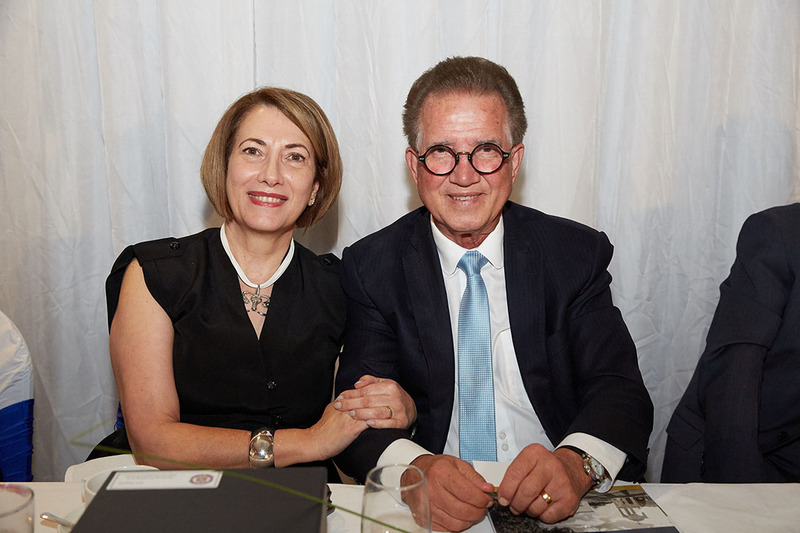 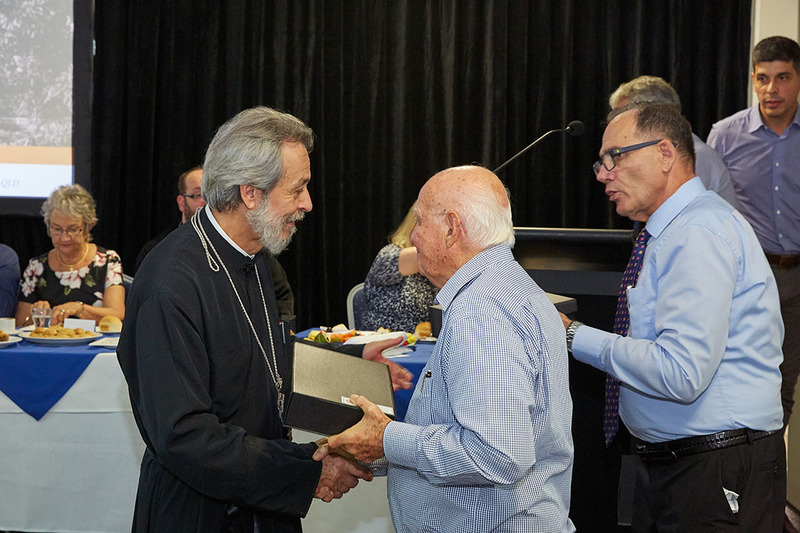 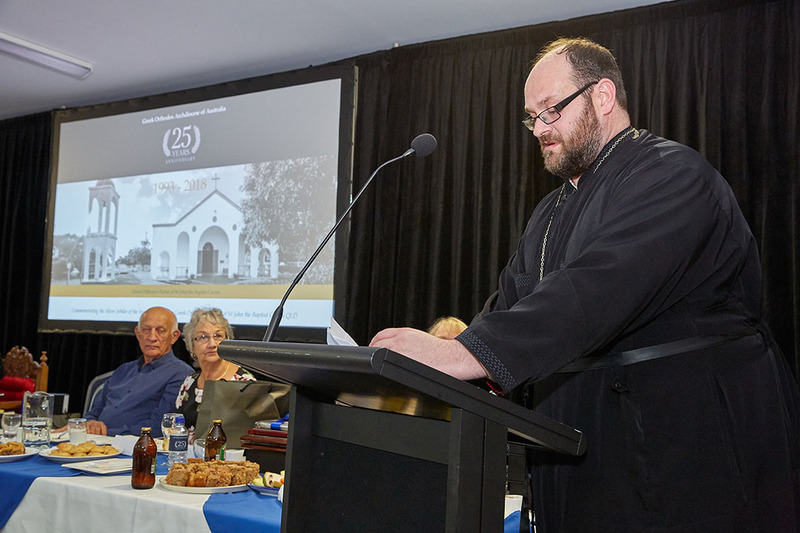 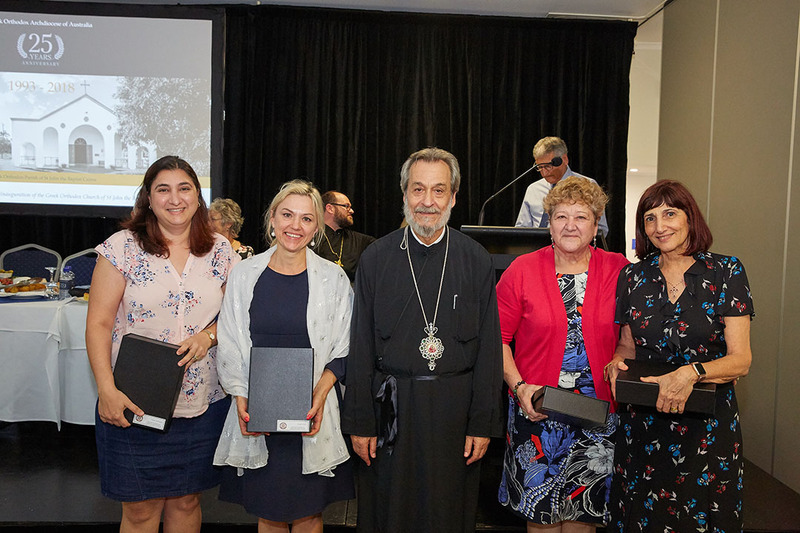 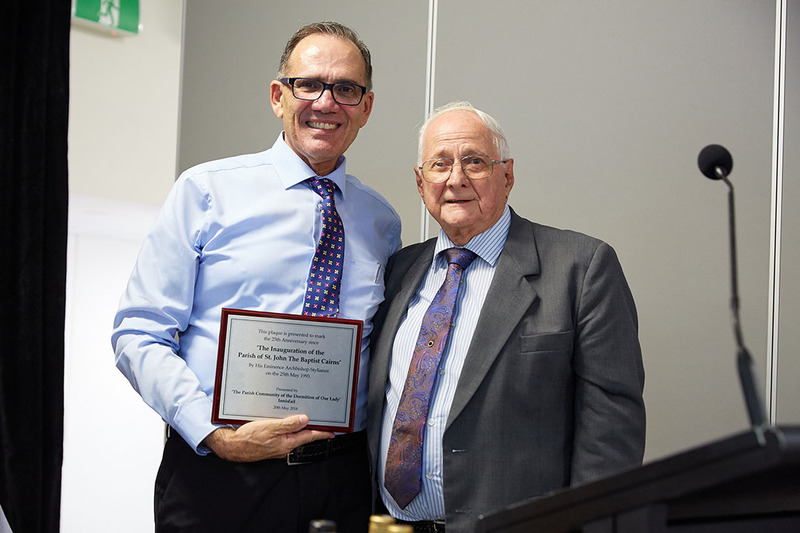 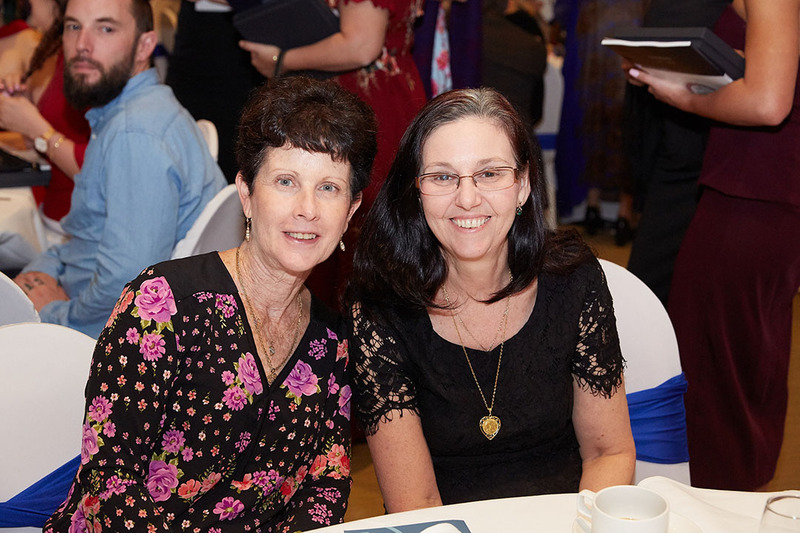 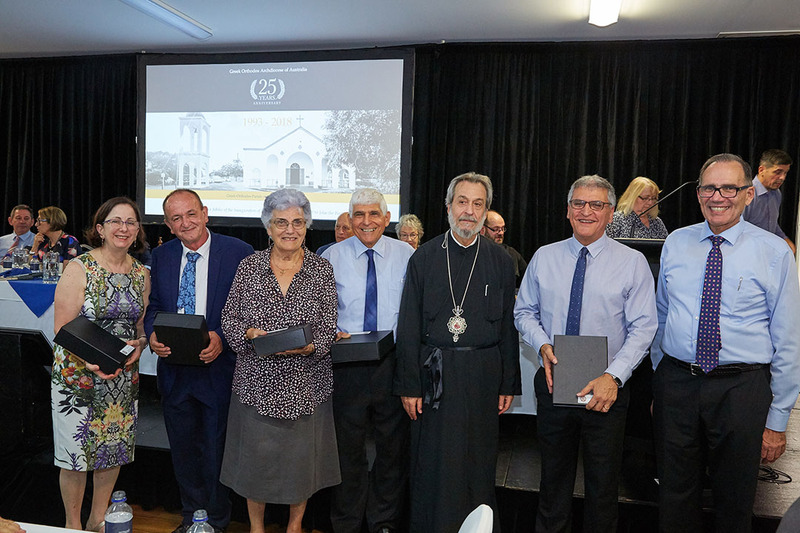 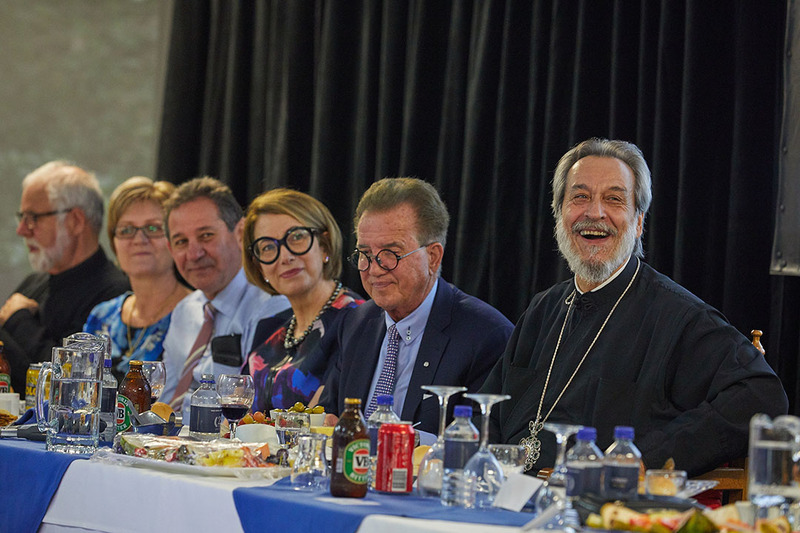 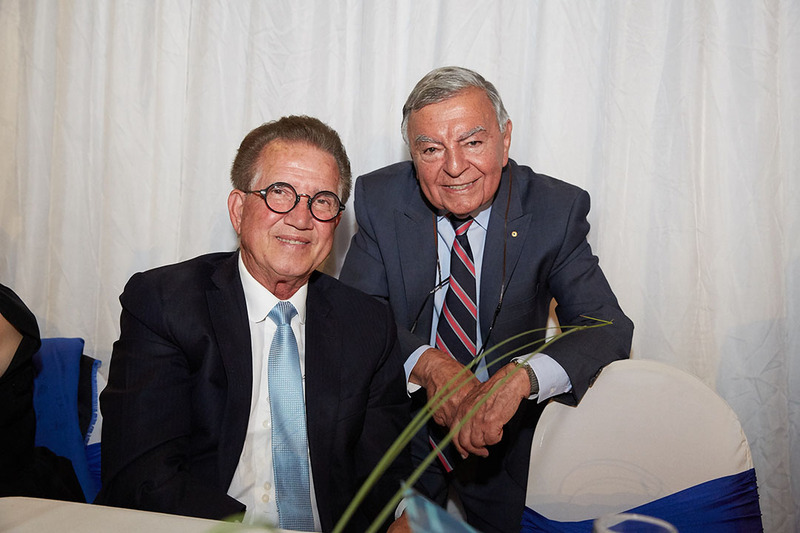 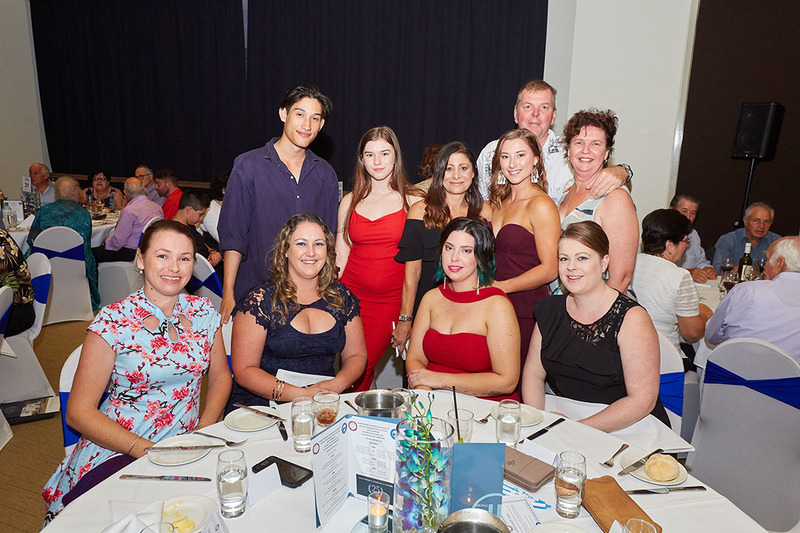 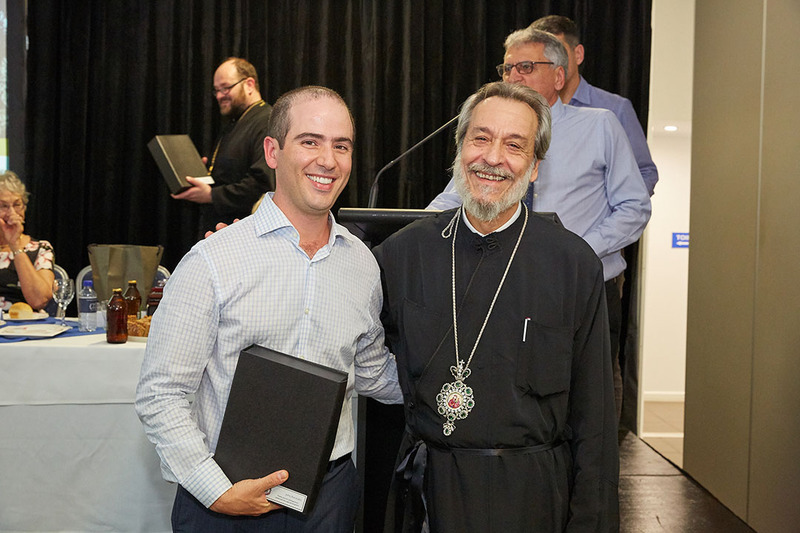 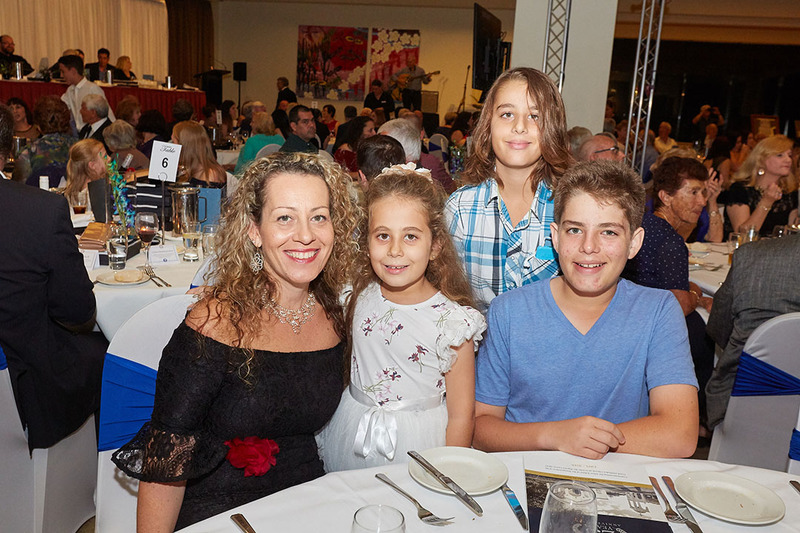 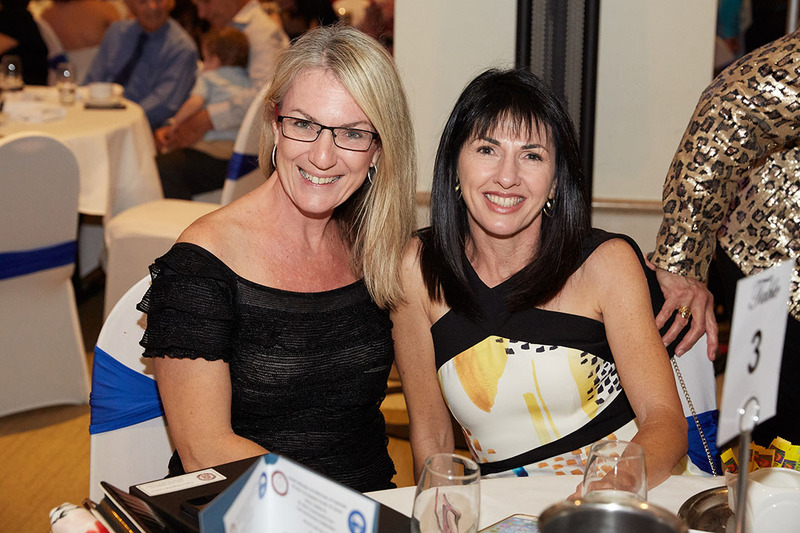 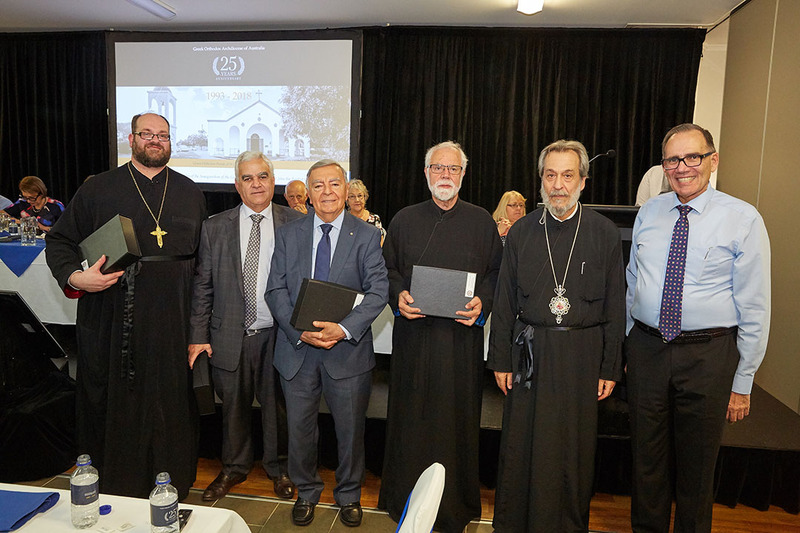 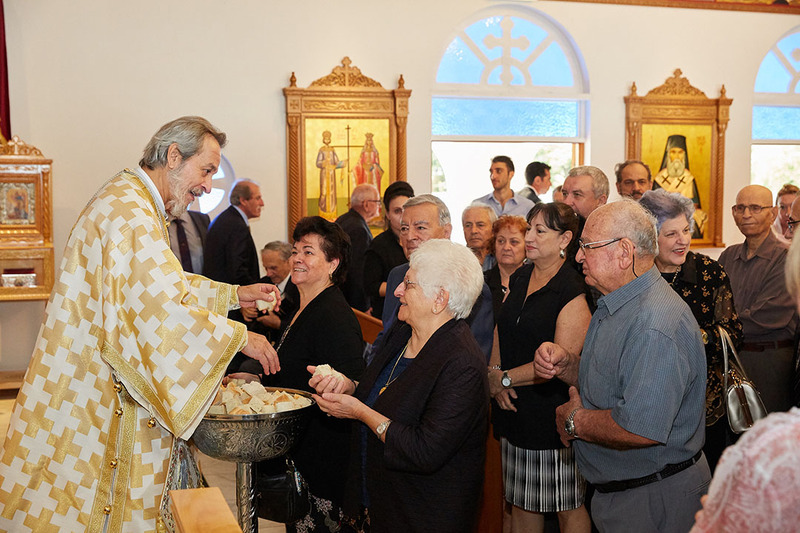 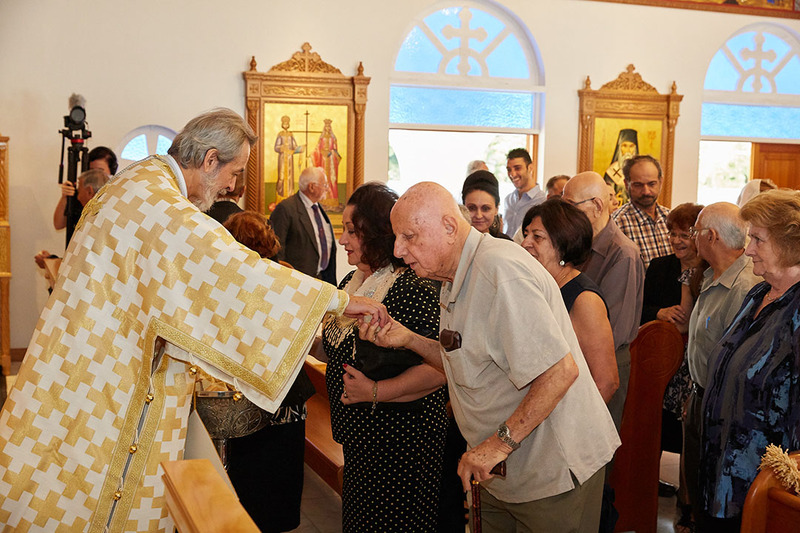 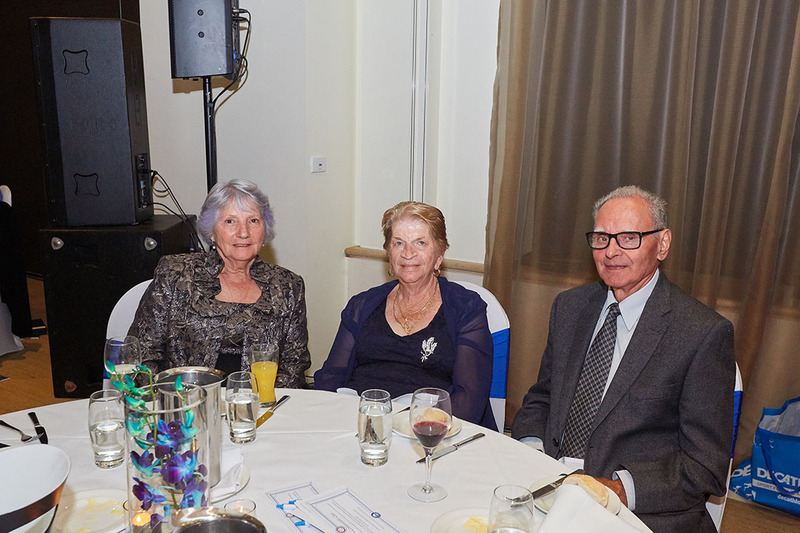 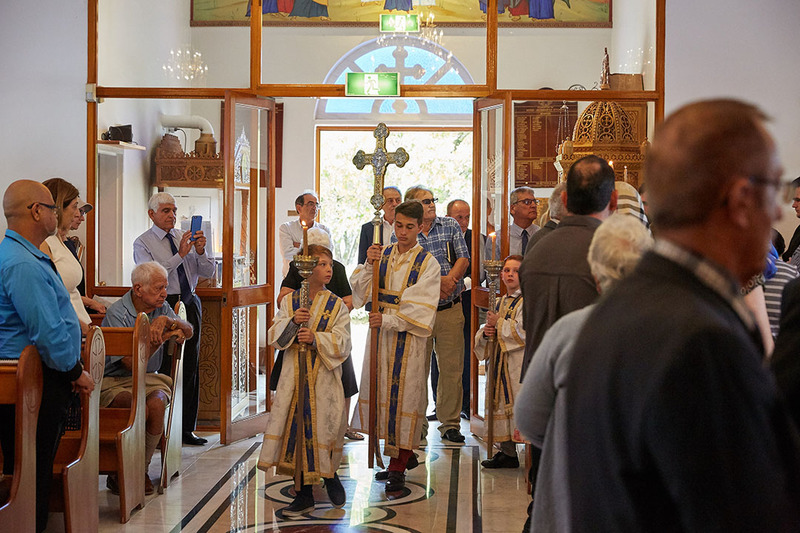 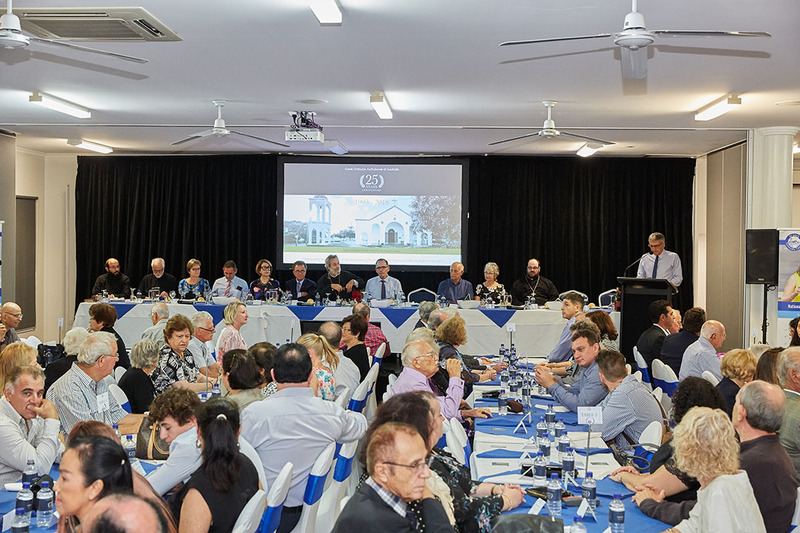 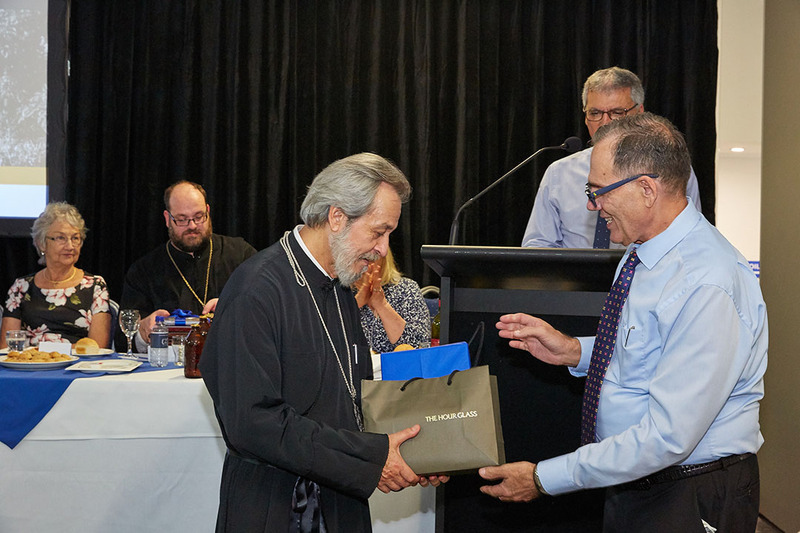 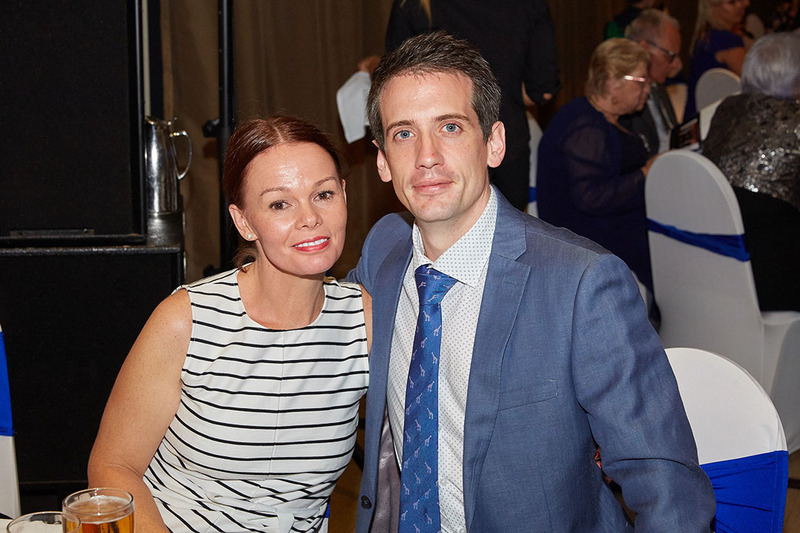 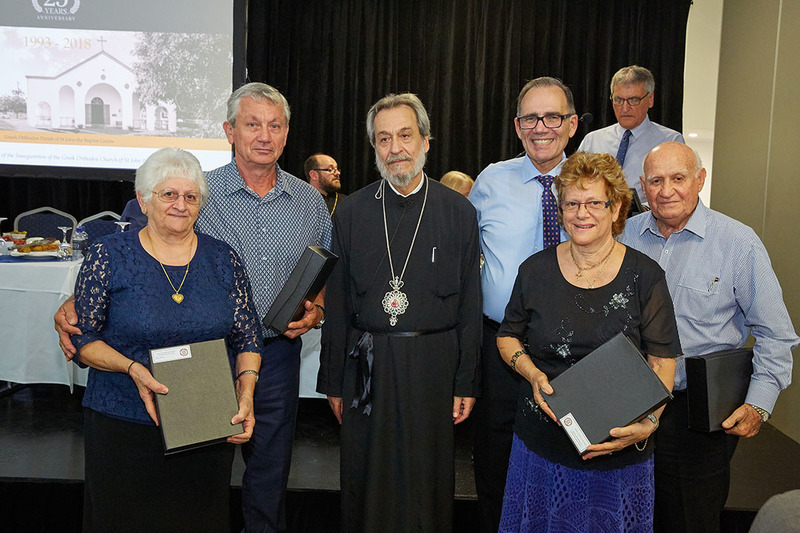 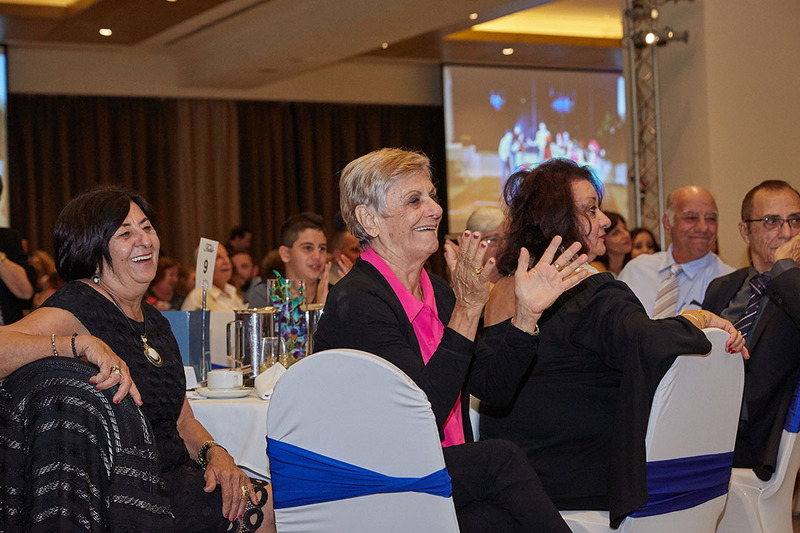 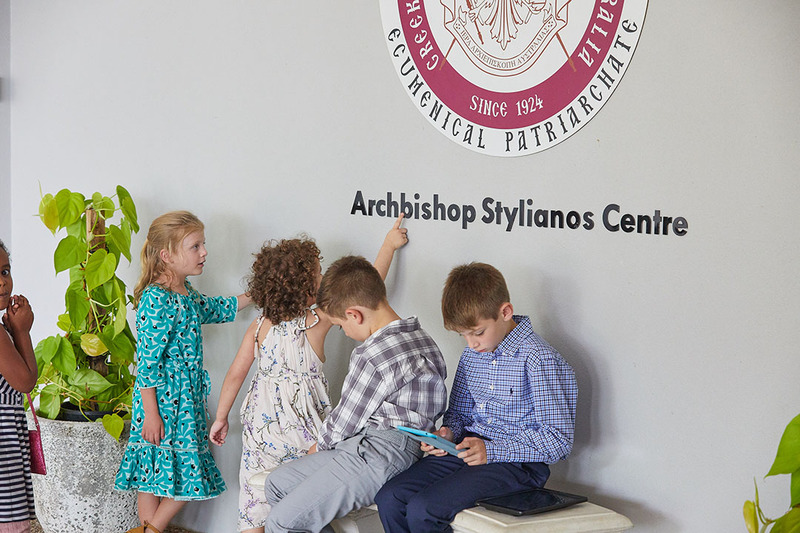 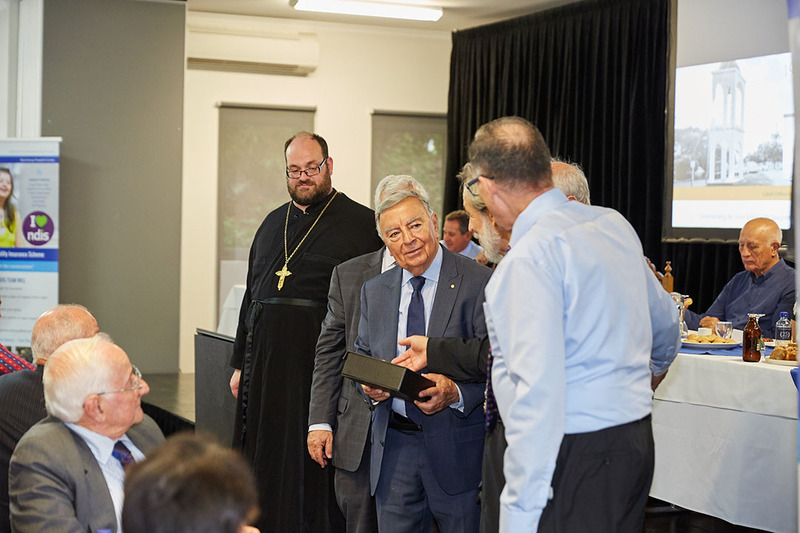 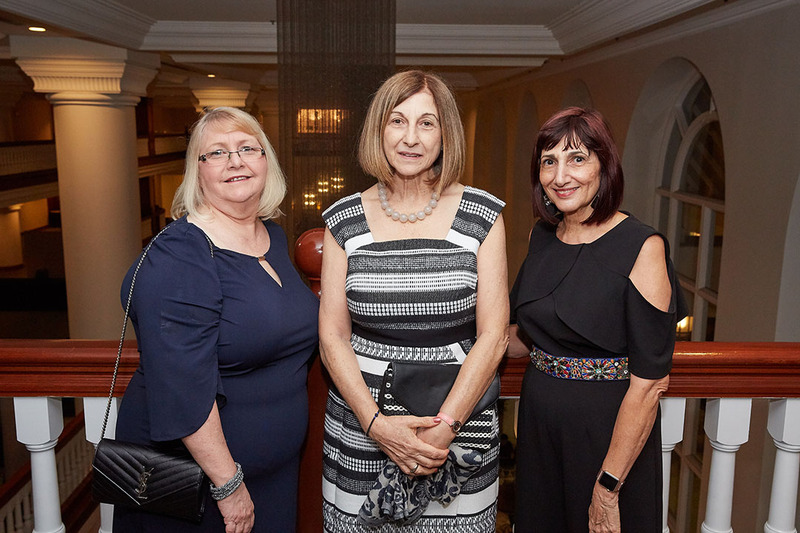 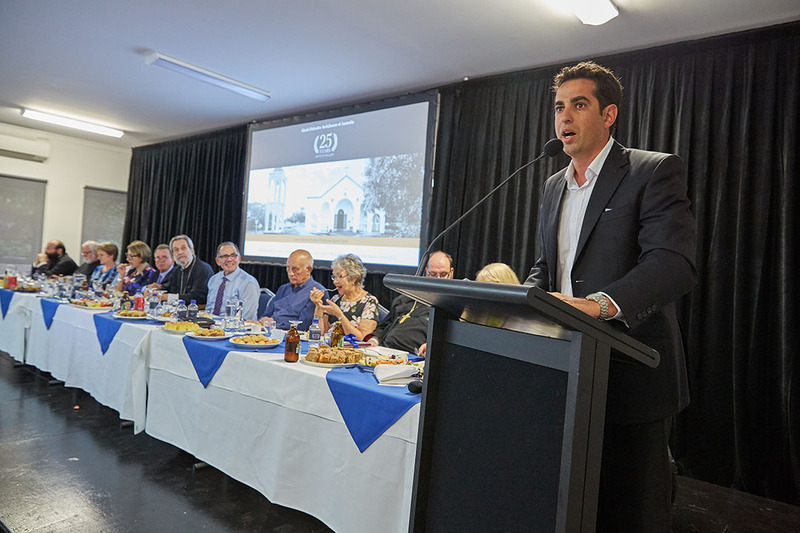 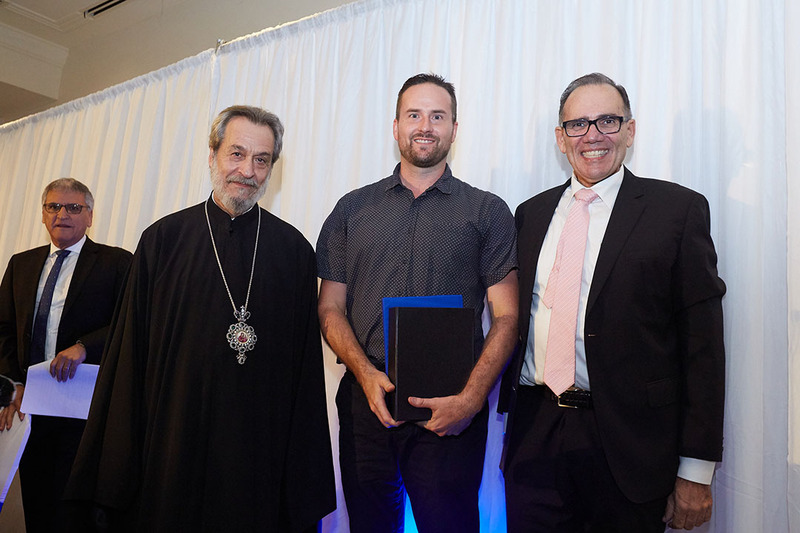 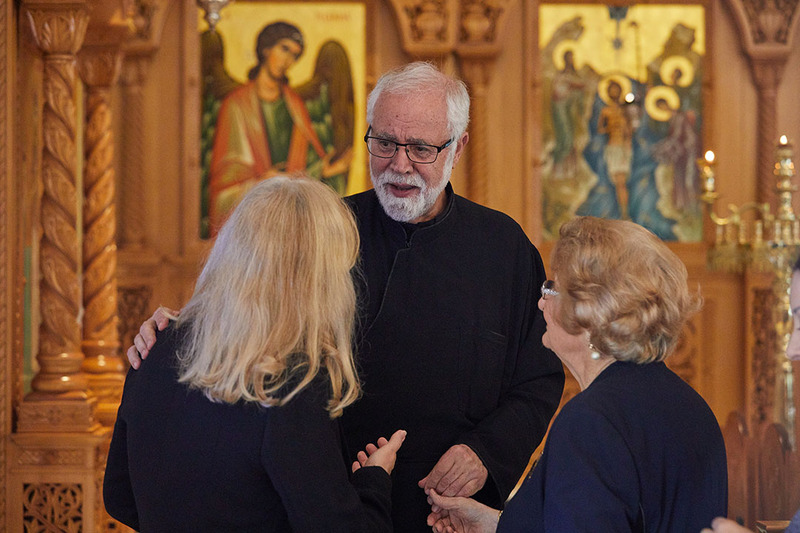 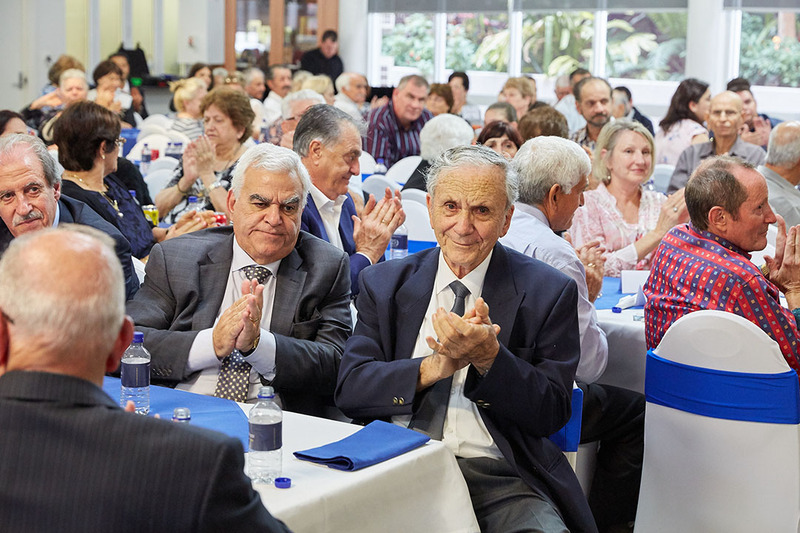 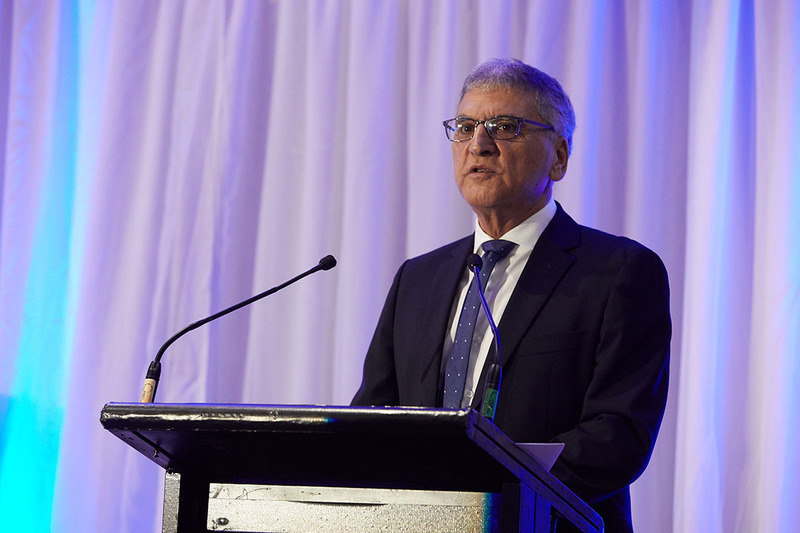 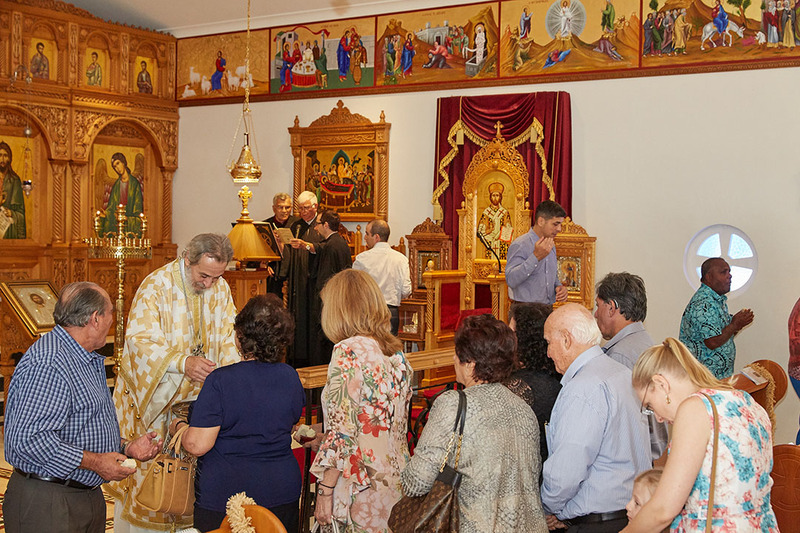 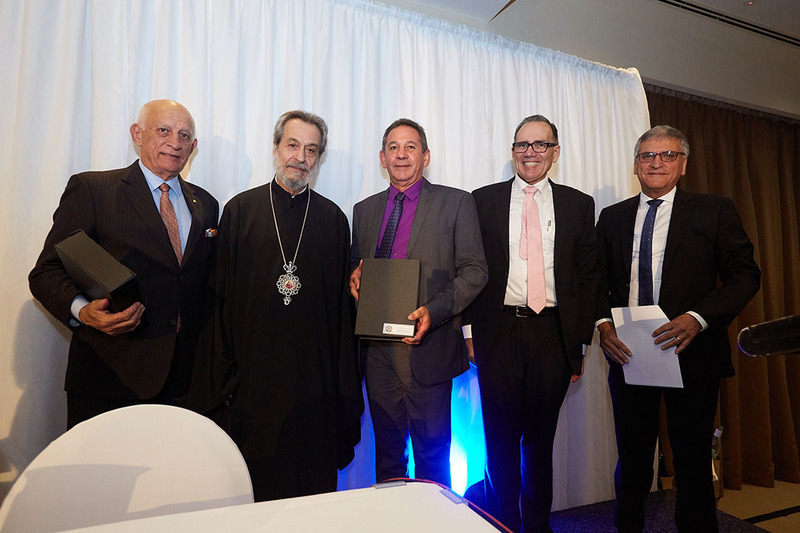 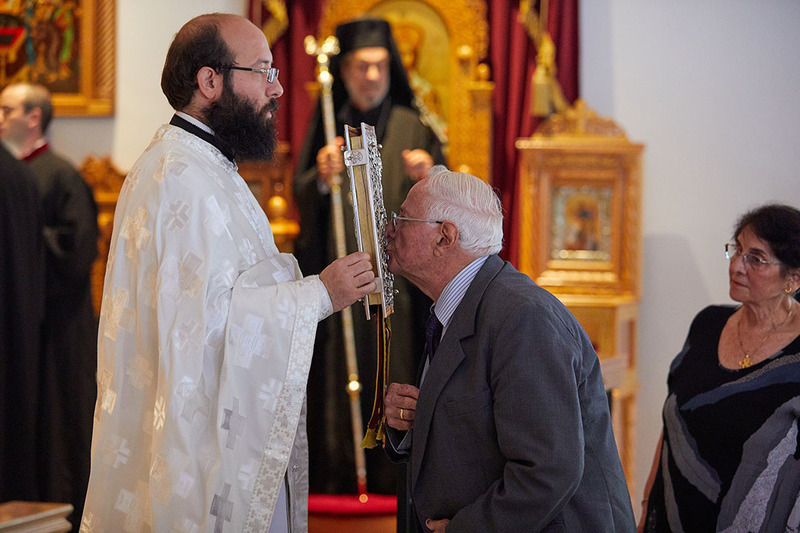 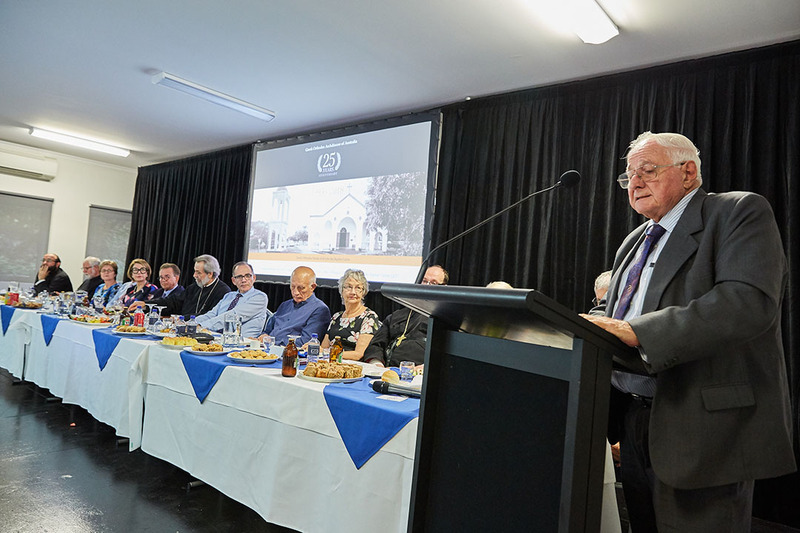 We proudly celebrated the 25 Year Anniversary on 18th-20th May, 2018 to commemorate the Silver Jubilee of the Inauguration of the Greek Orthodox Church of St John the Baptist Cairns. 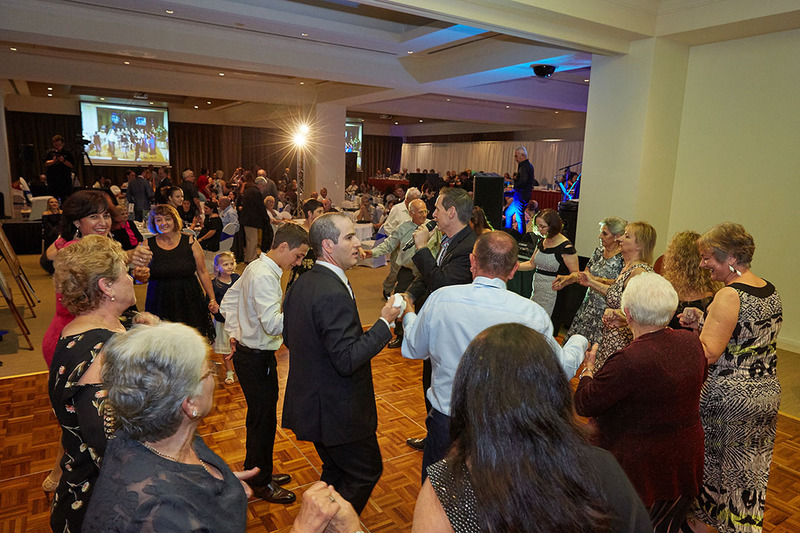 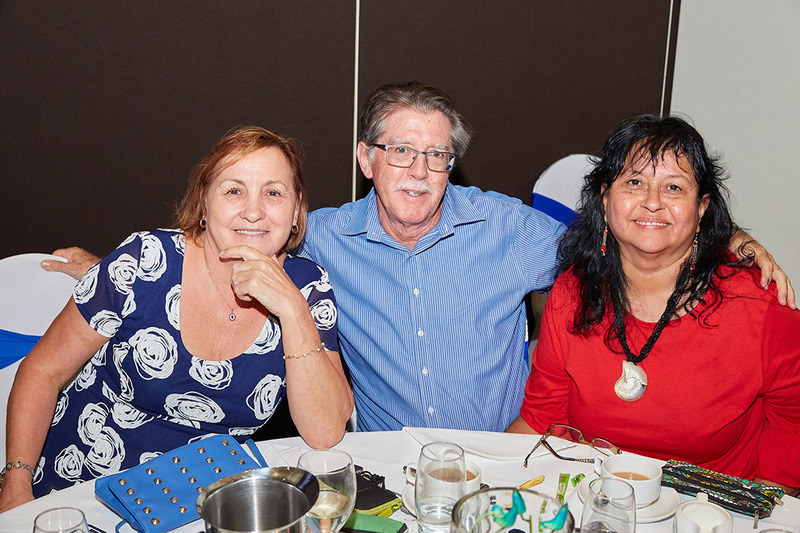 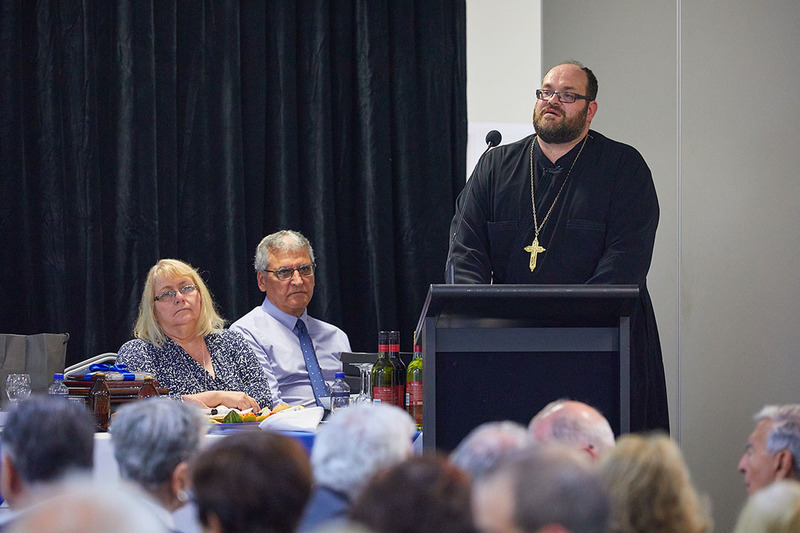 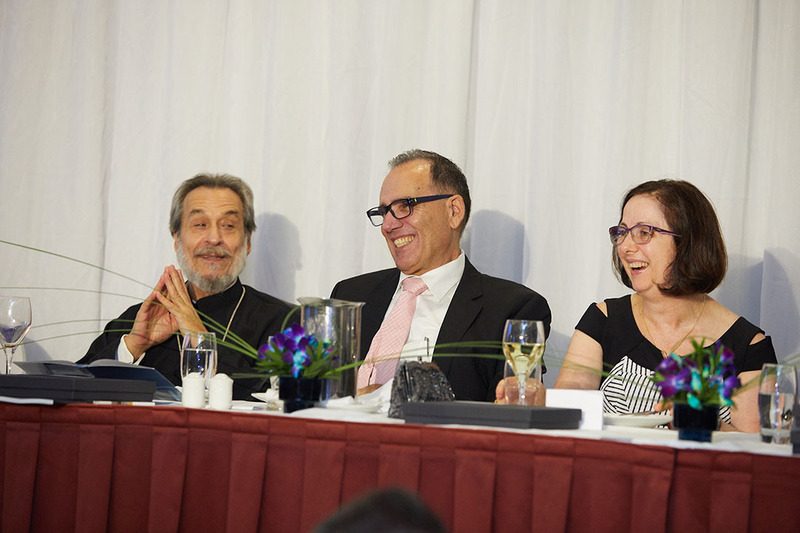 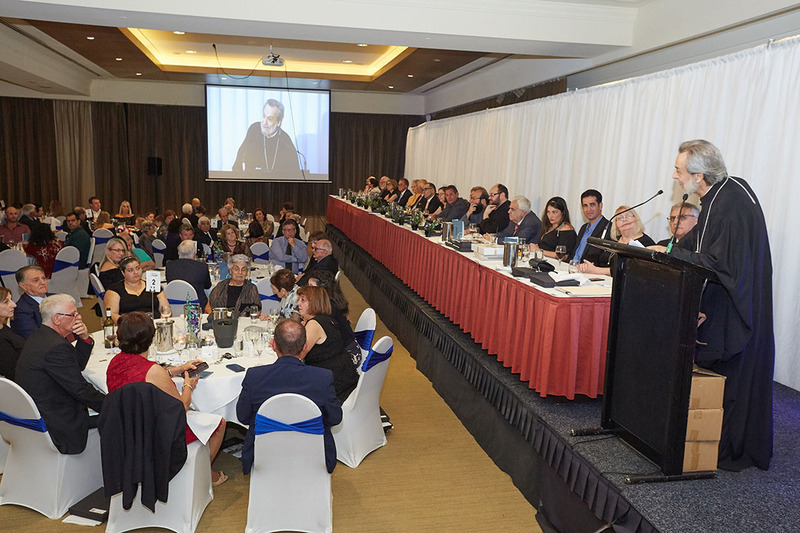 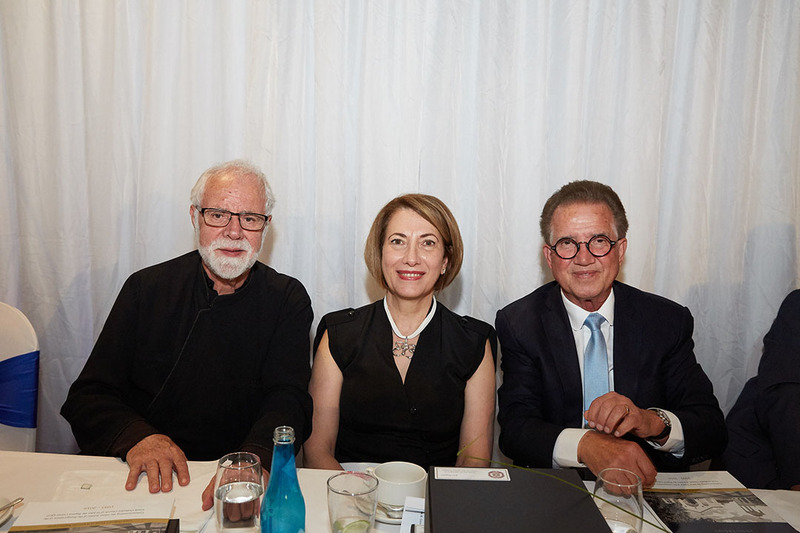 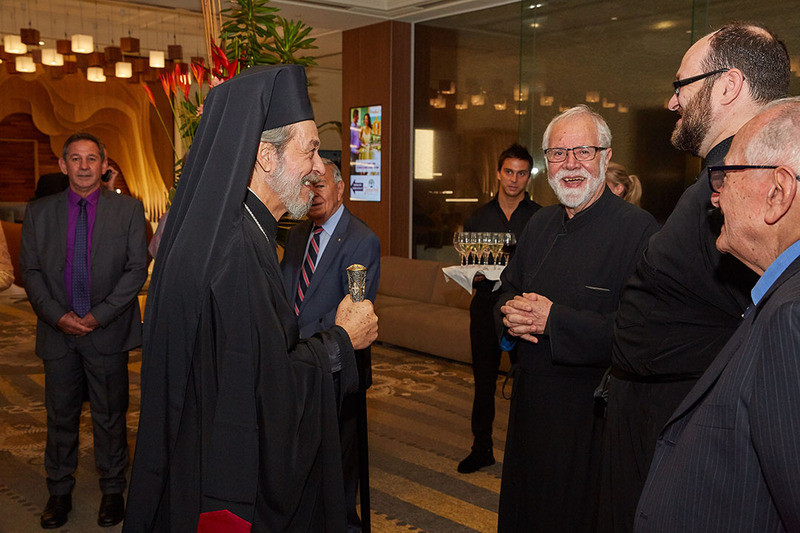 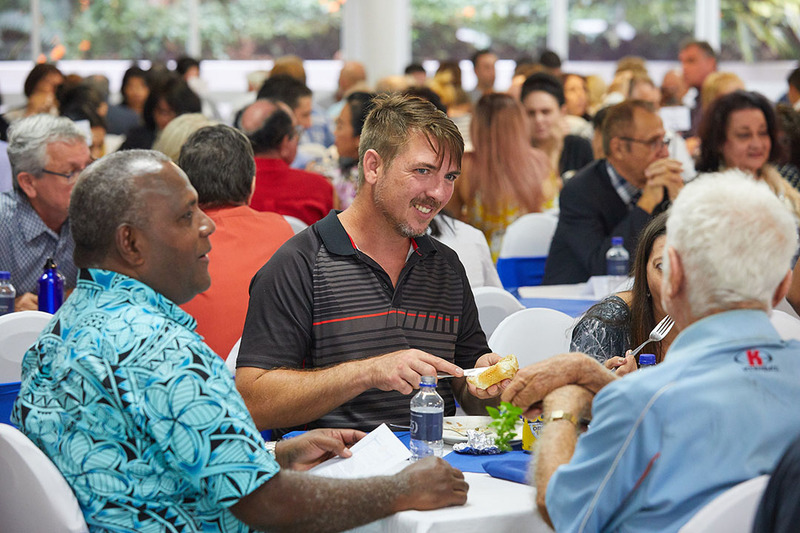 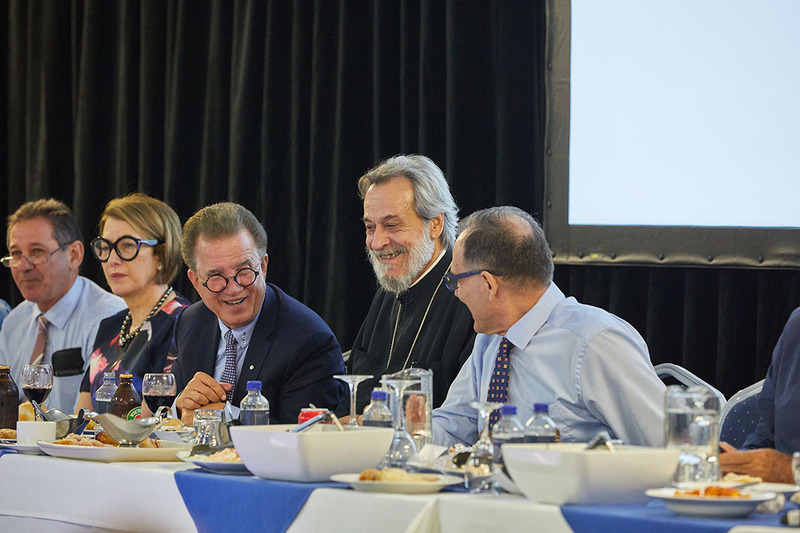 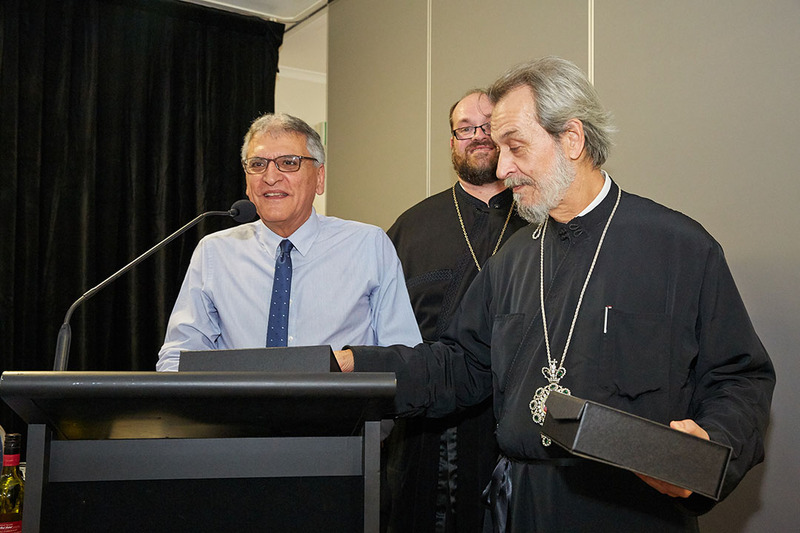 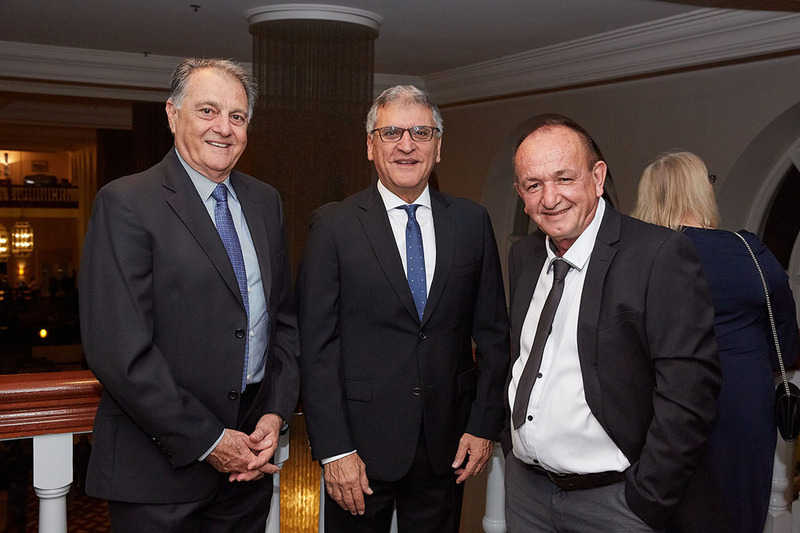 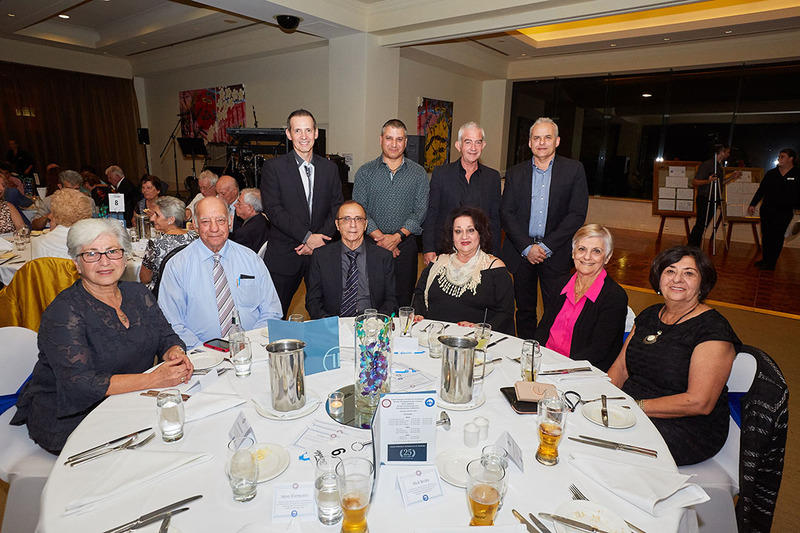 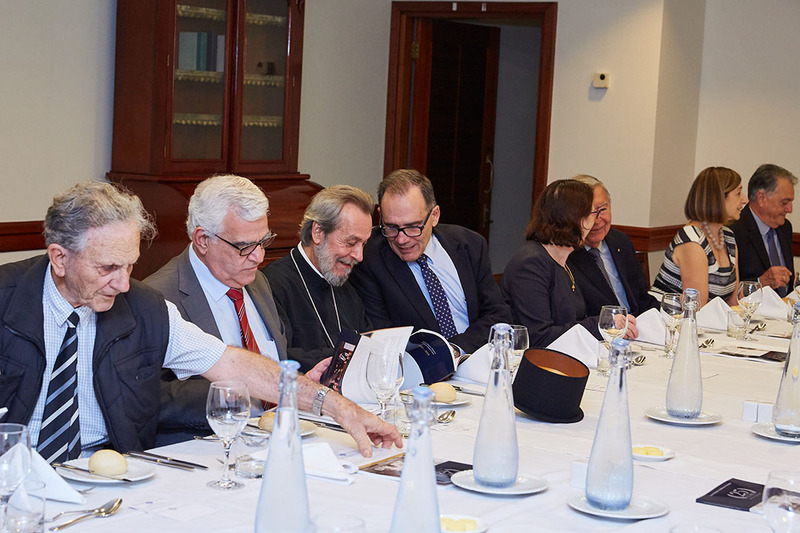 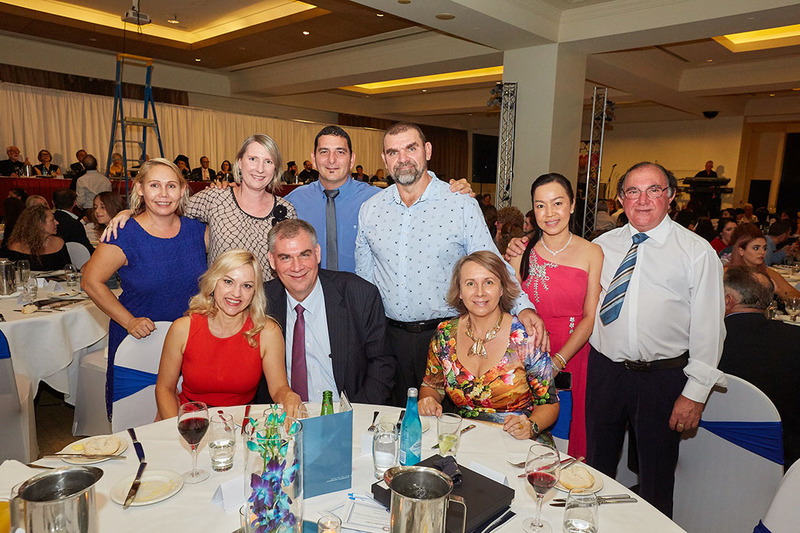 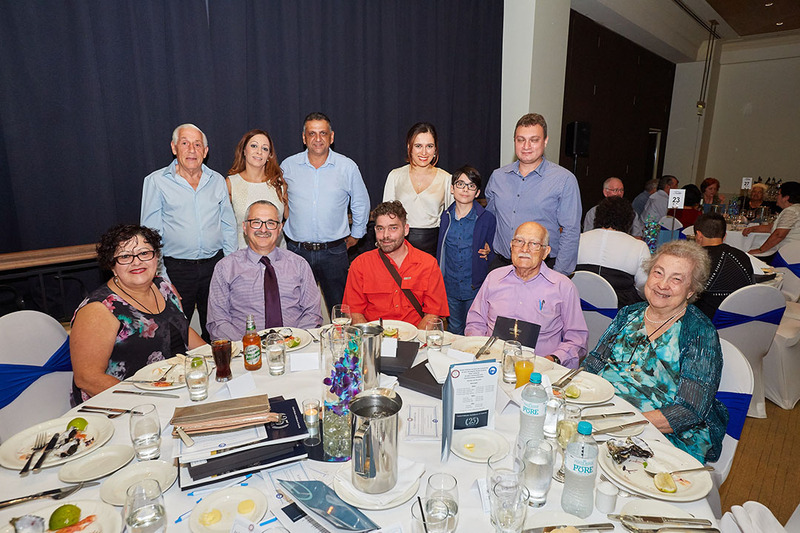 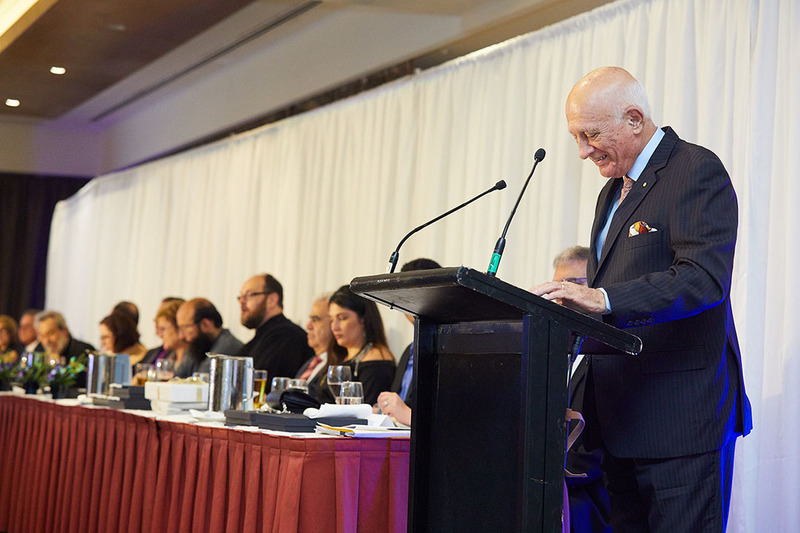 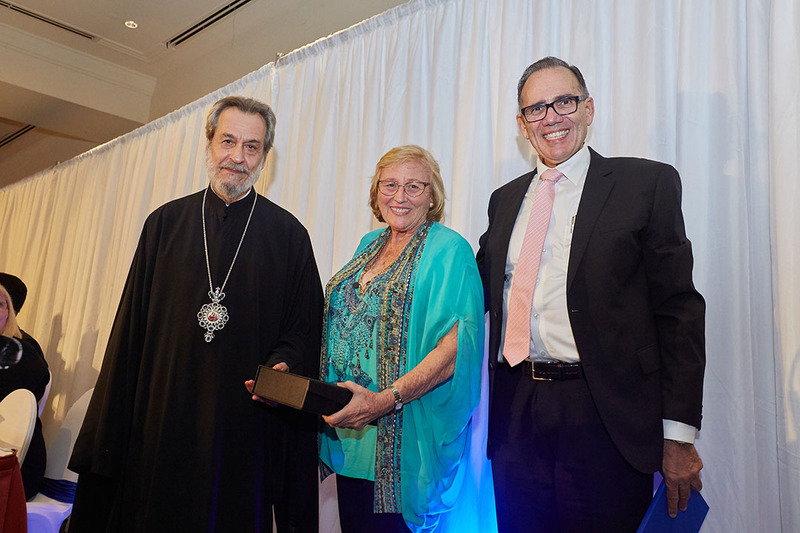 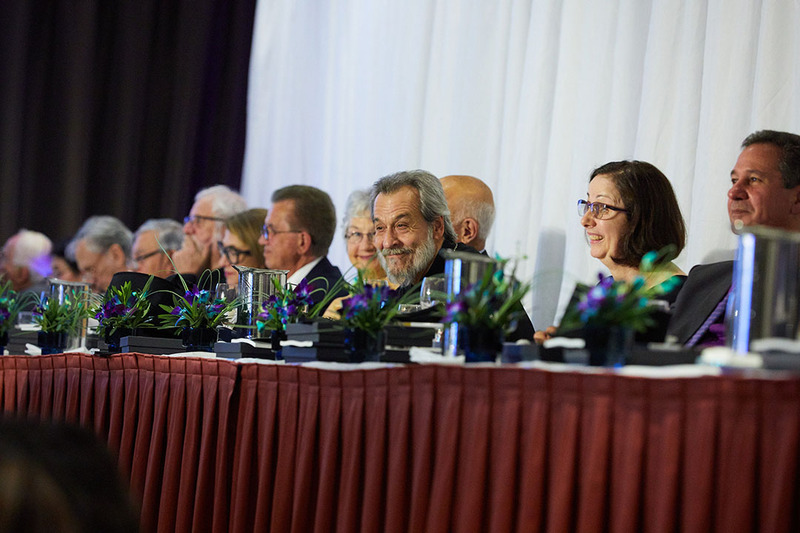 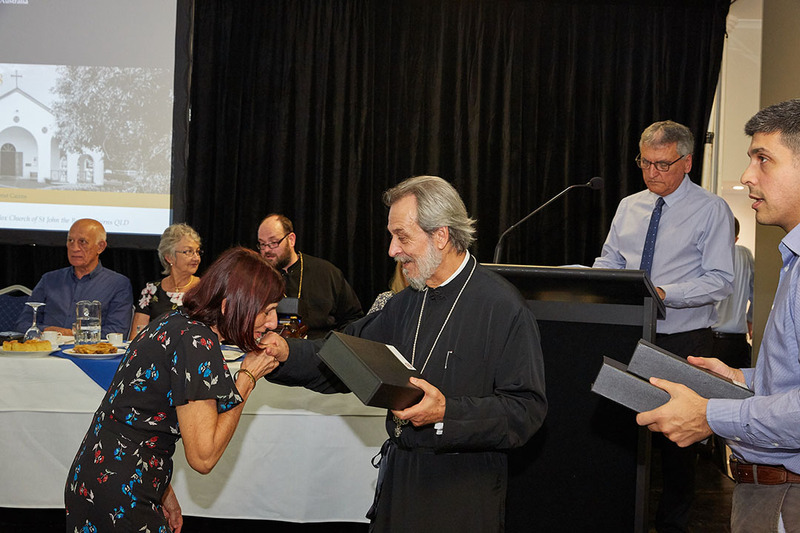 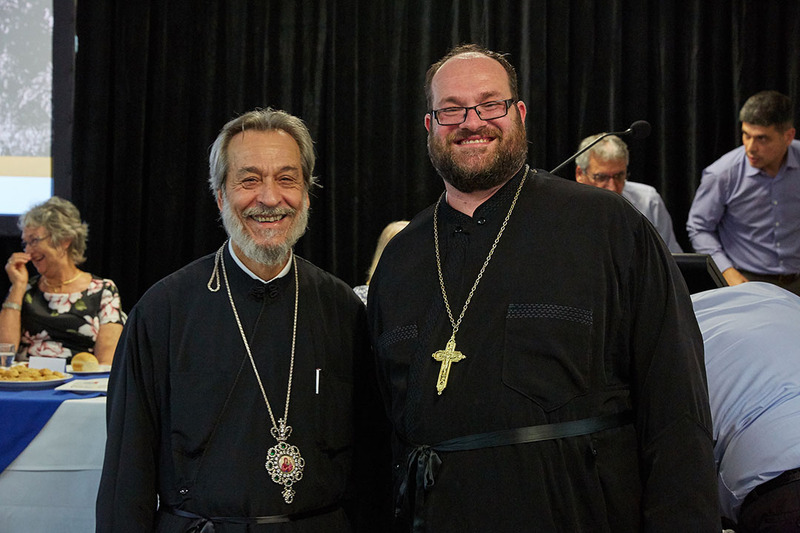 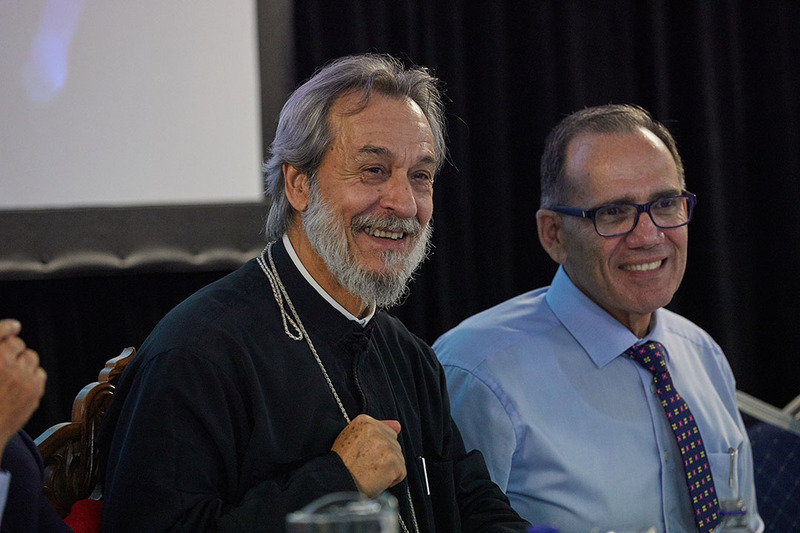 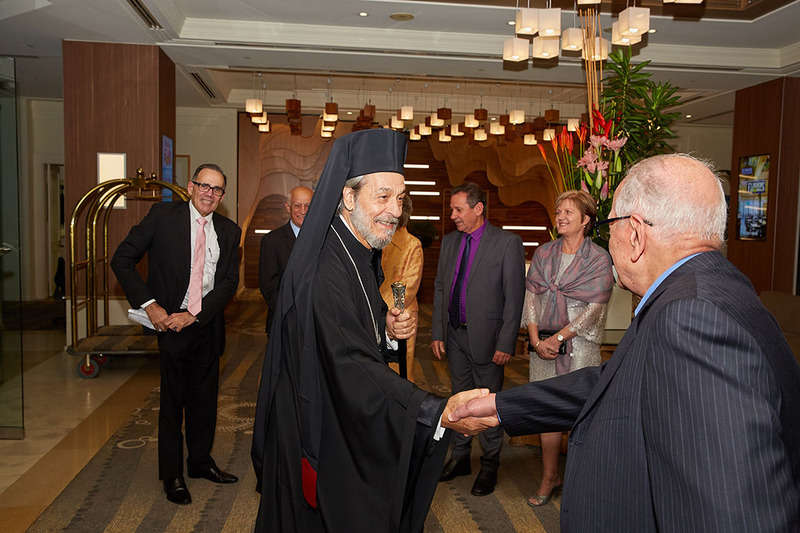 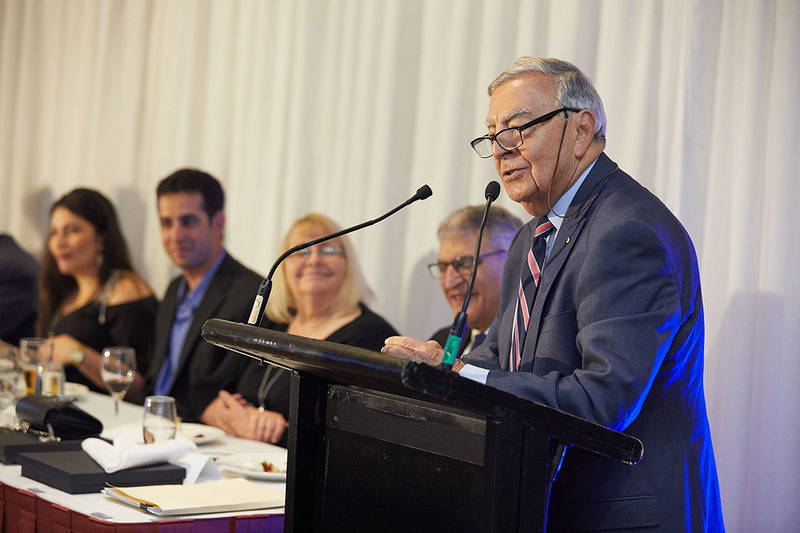 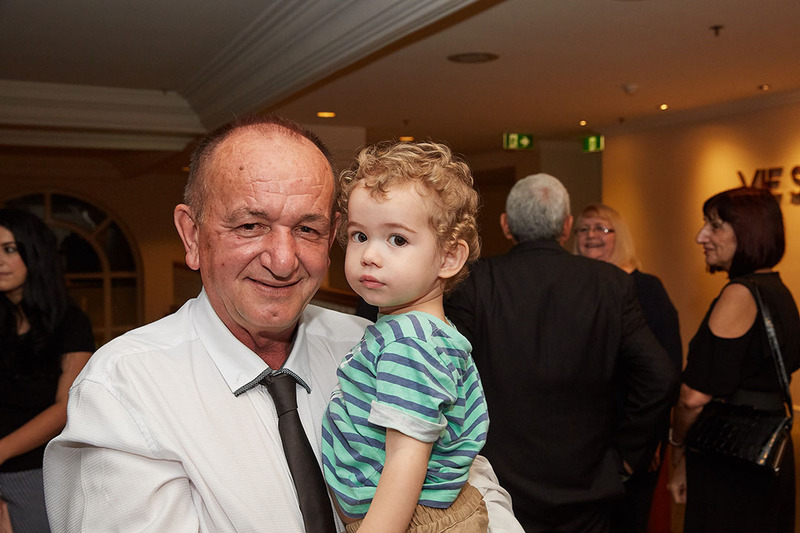 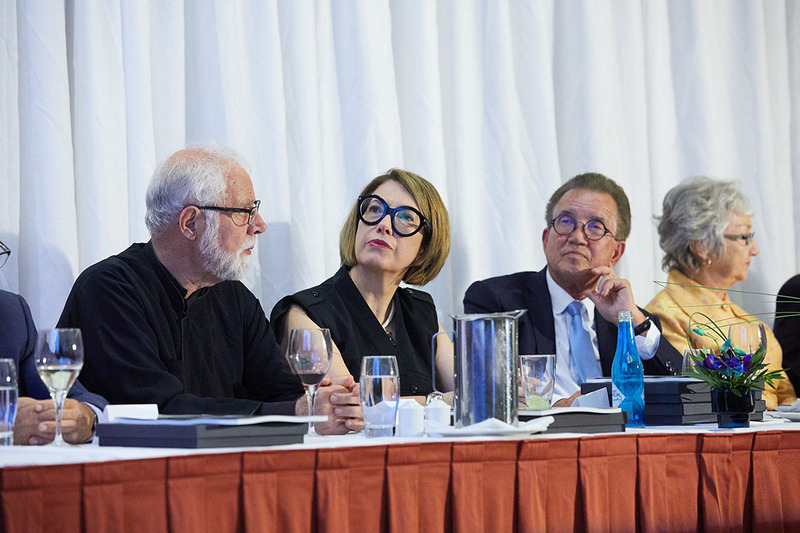 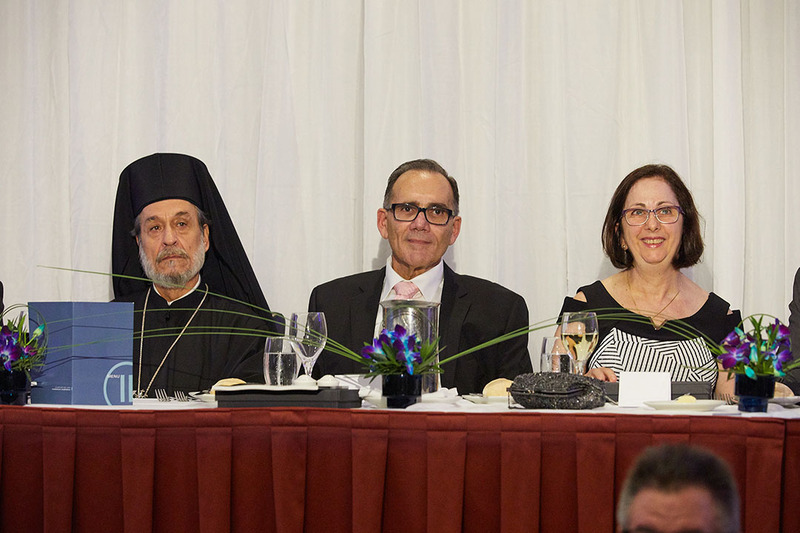 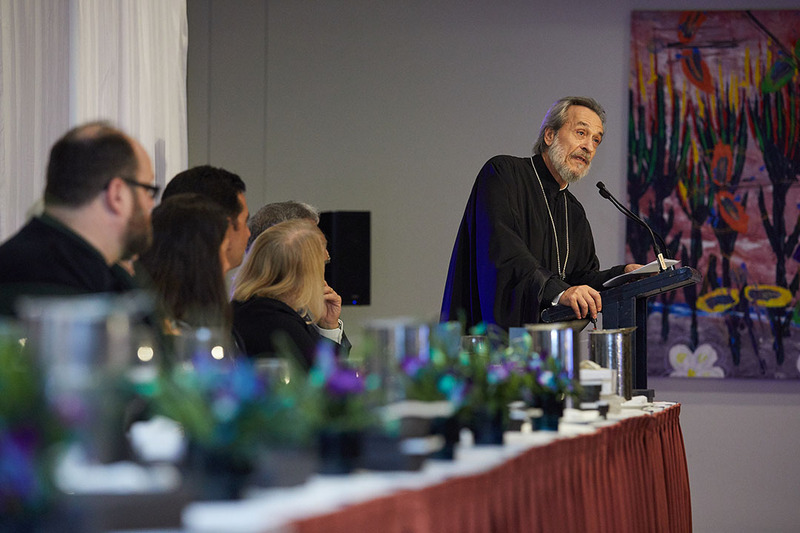 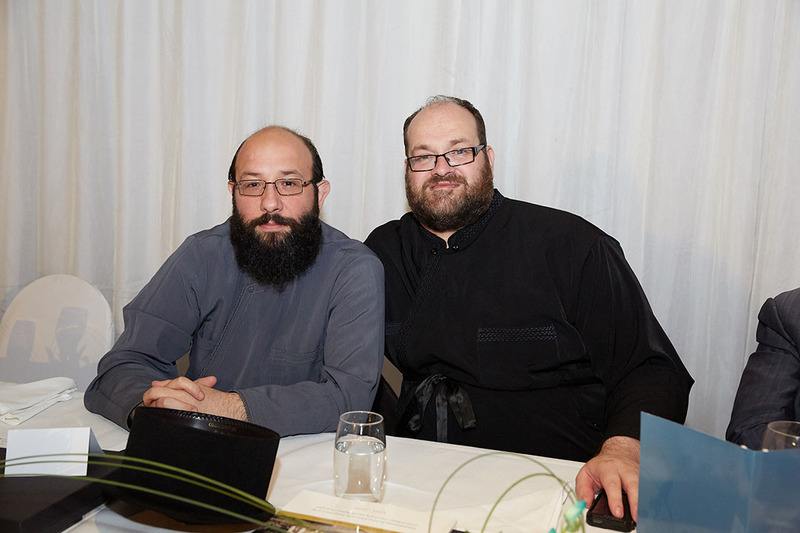 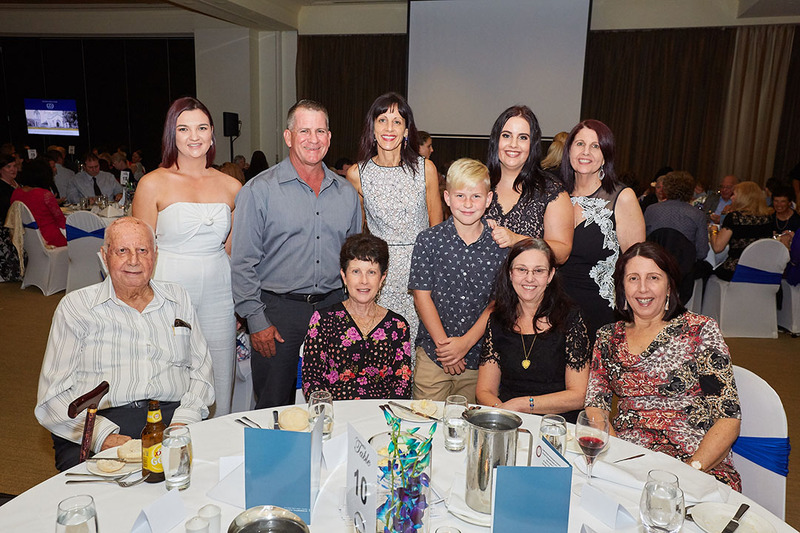 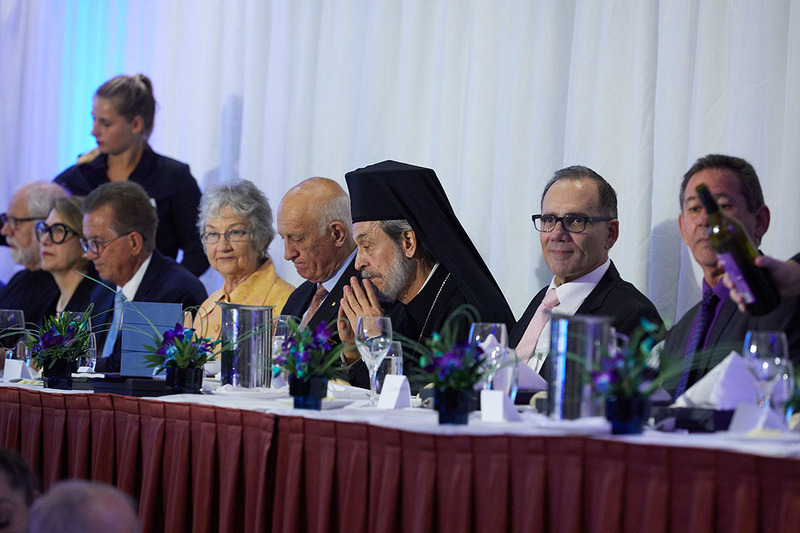 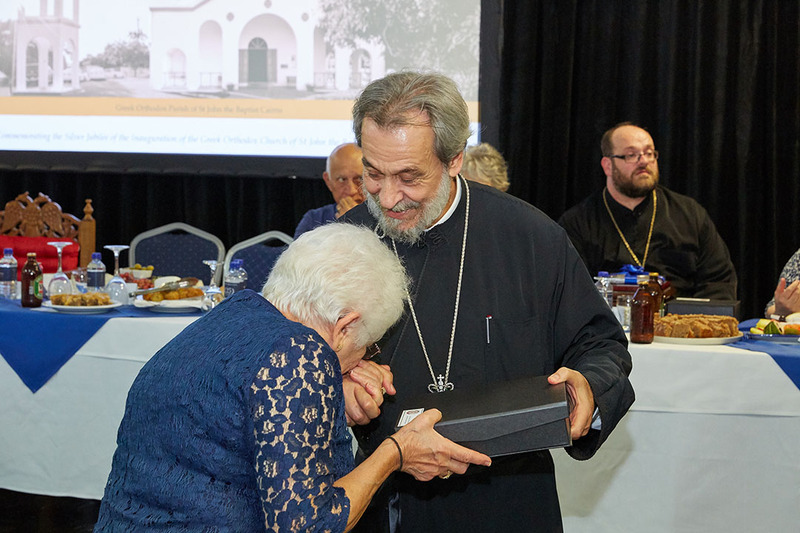 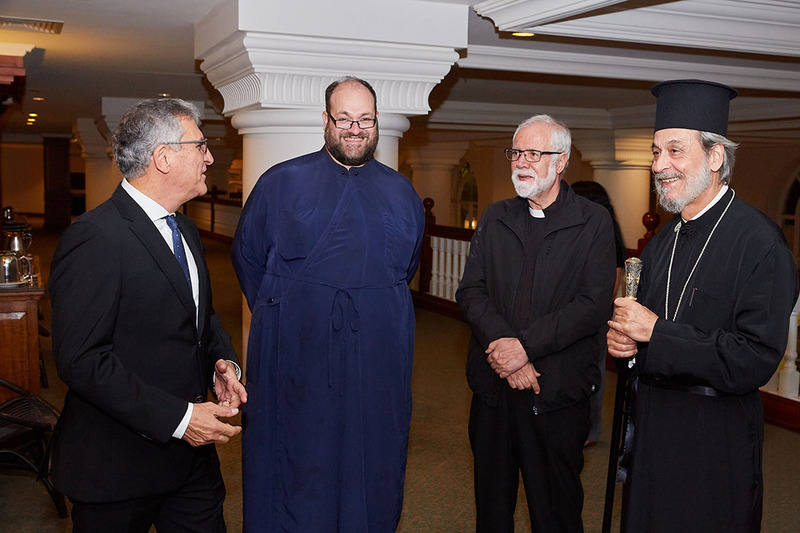 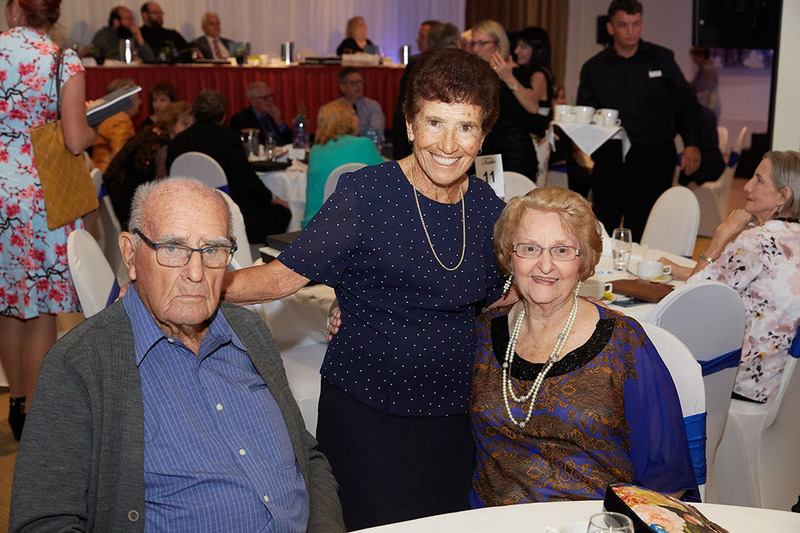 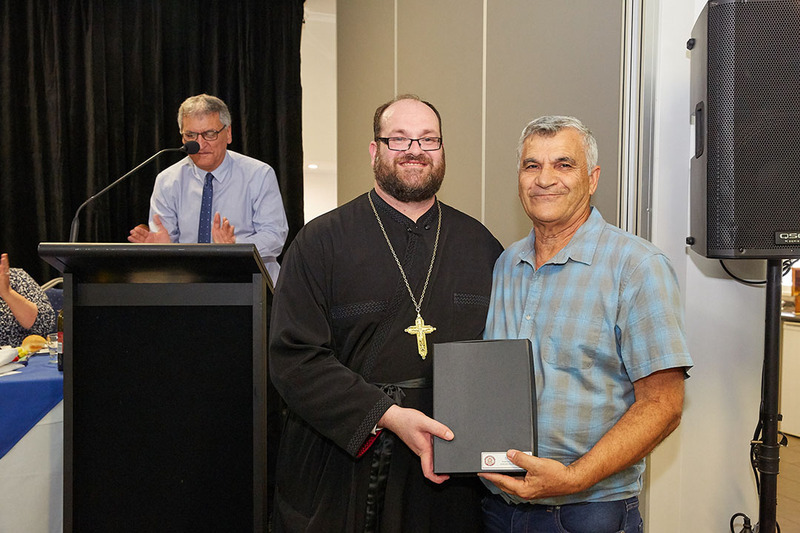 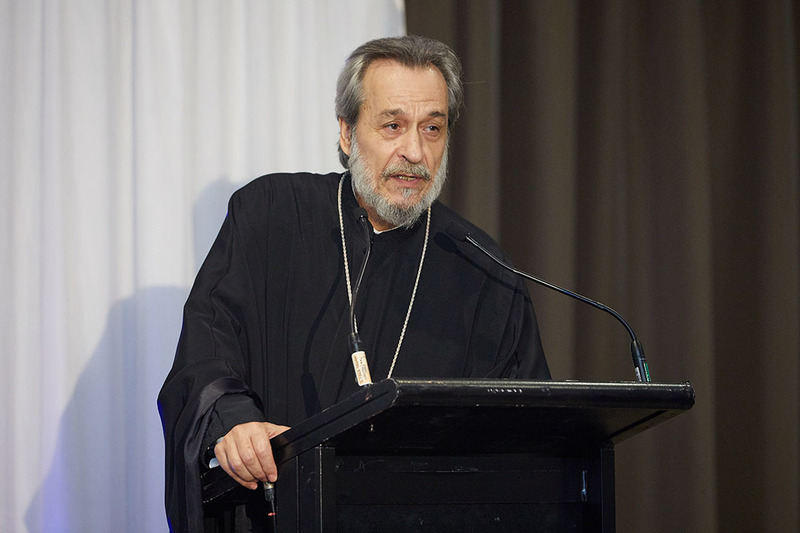 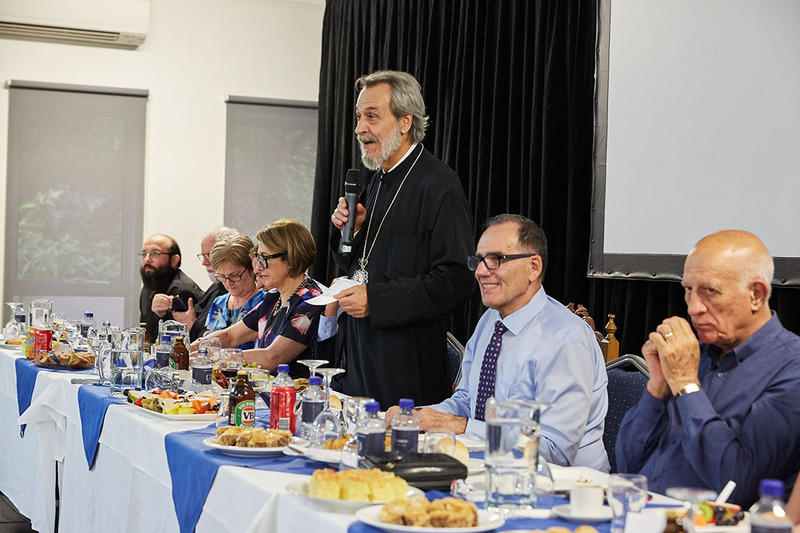 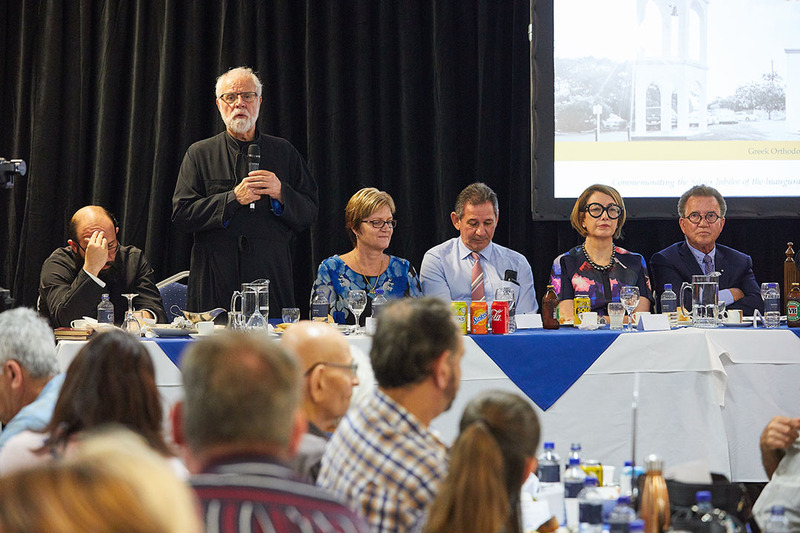 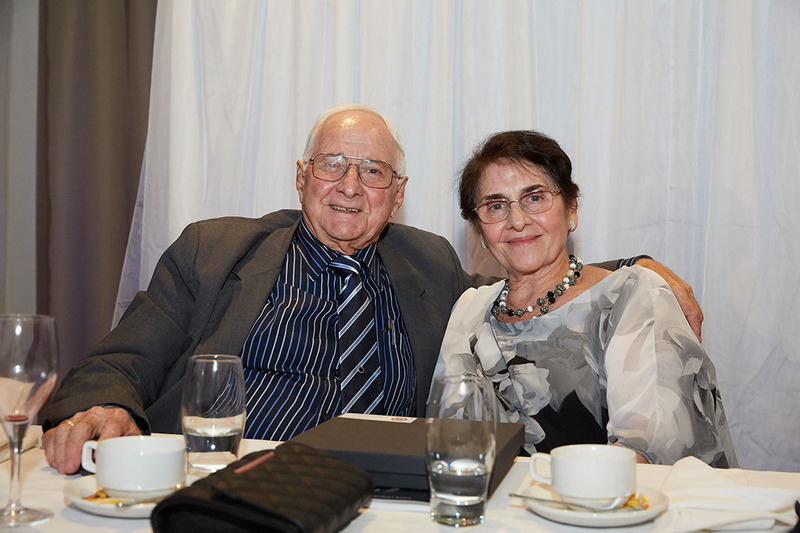 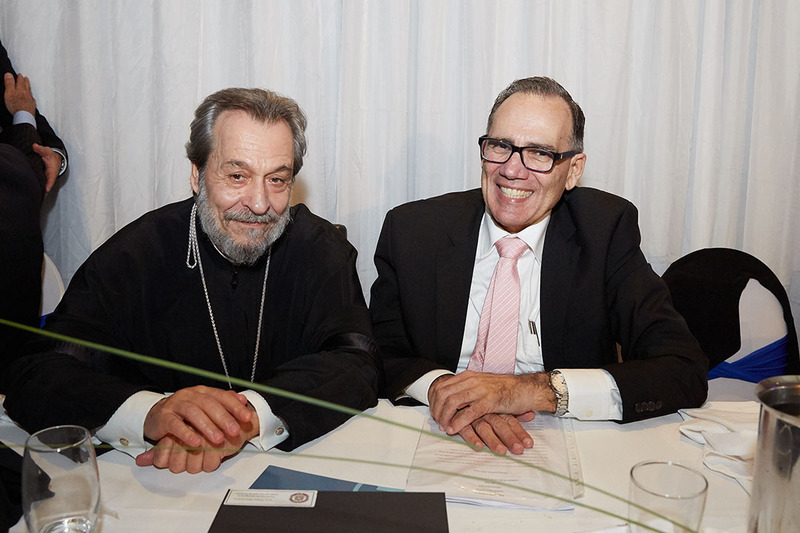 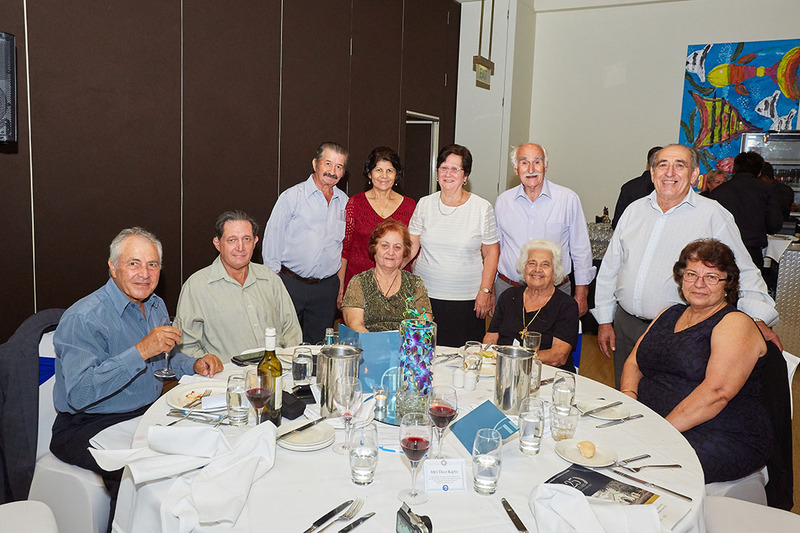 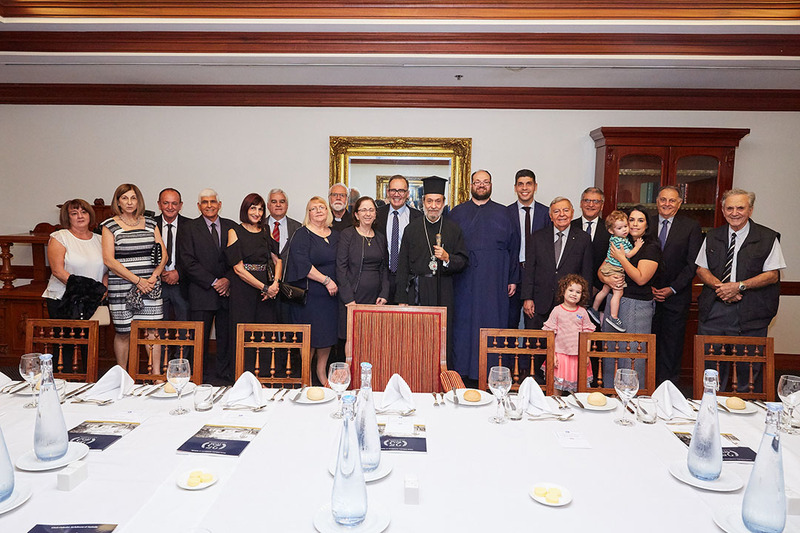 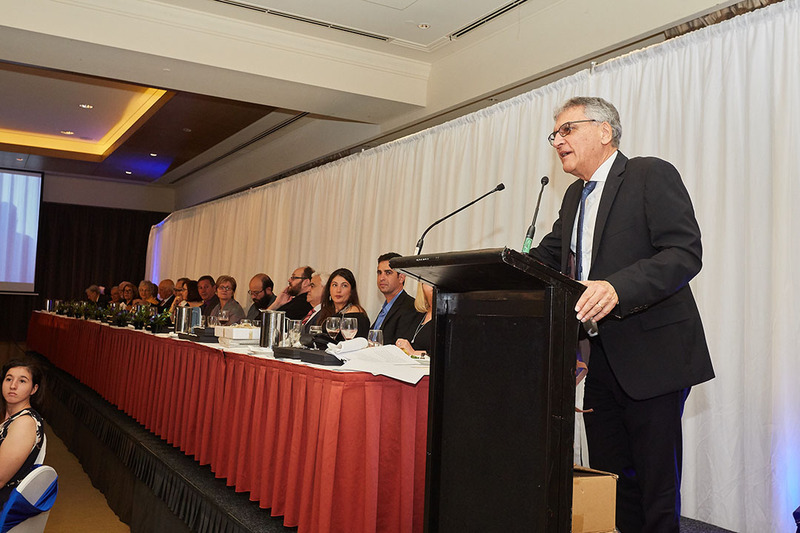 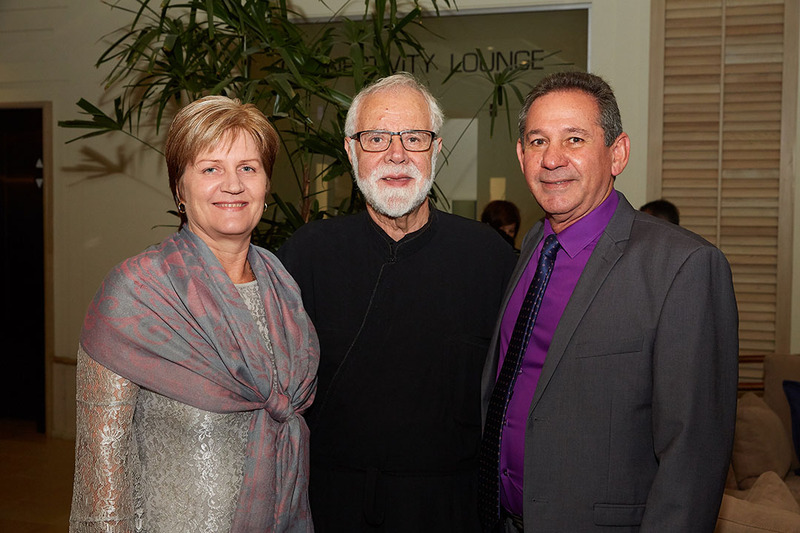 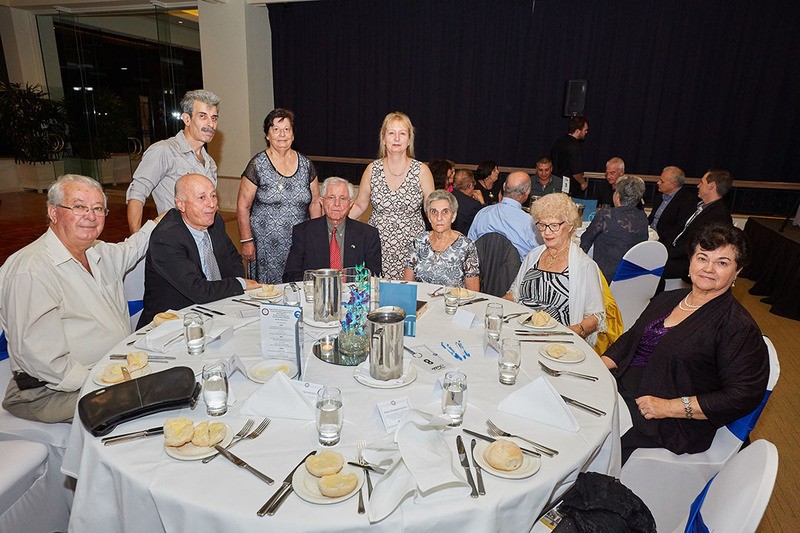 On Friday May 18th, 2018 the Parish Council Dinner with His Grace Bishop Seraphim was held at the Pullman Cairns International Hotel with attendees including, Father Menelaos Presvytera Nektaria, Father John Kapetas, Jim & Helen Raptis, Parish Council and their wives, Michael Diamond, Stan Pallasis, Dr. Peter Marendy. 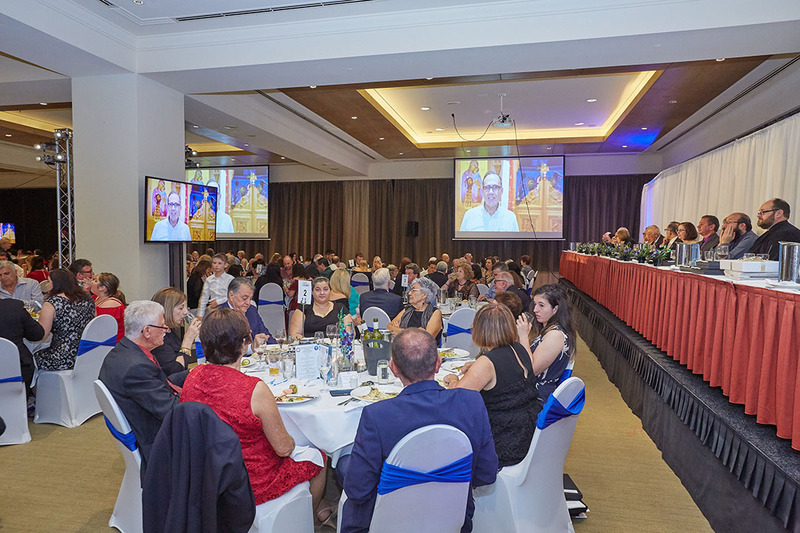 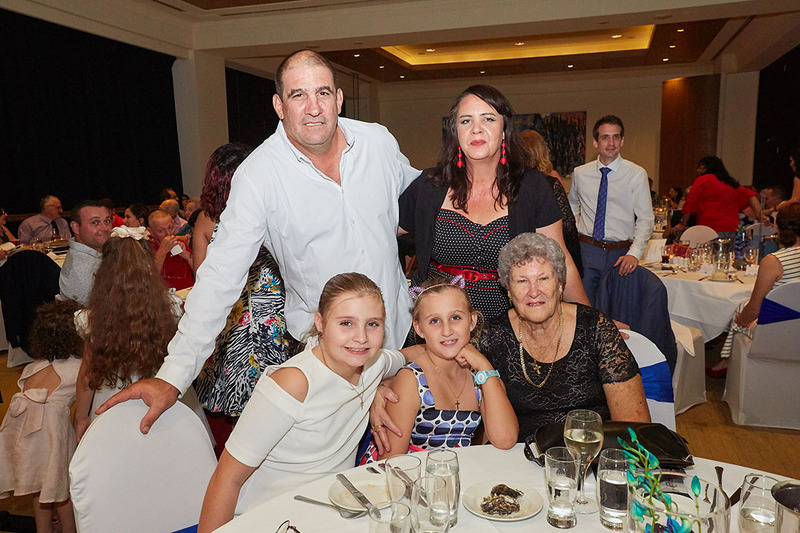 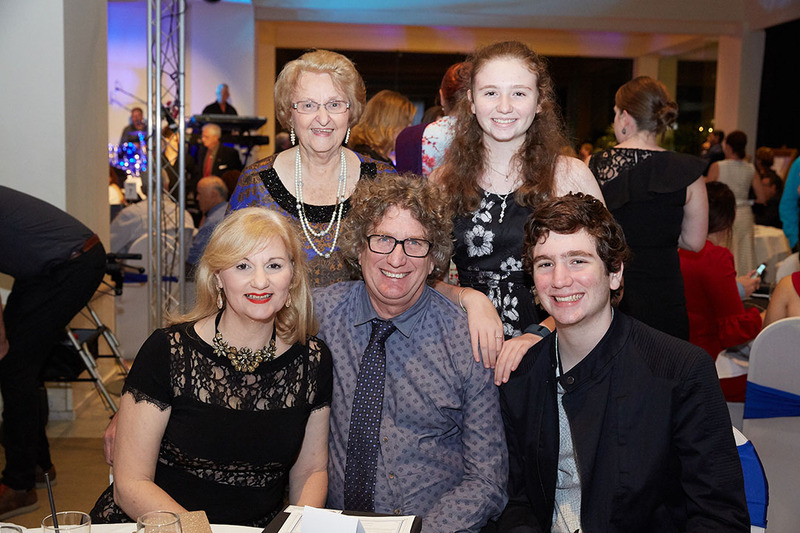 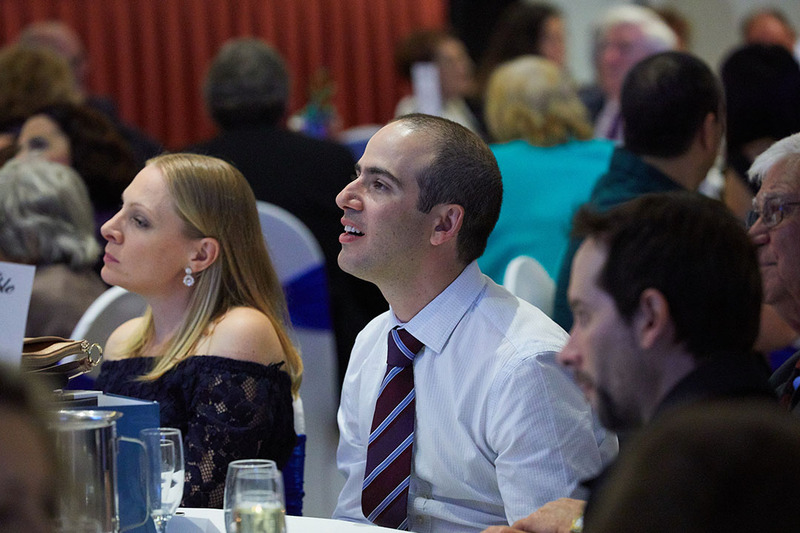 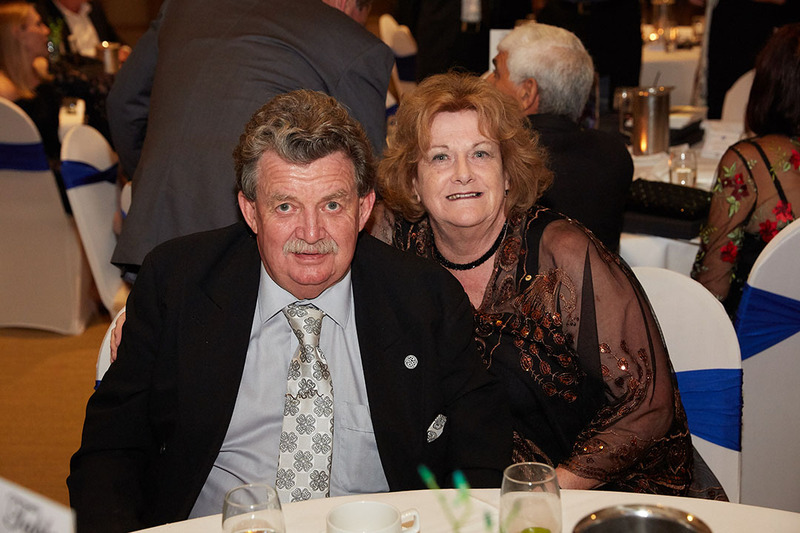 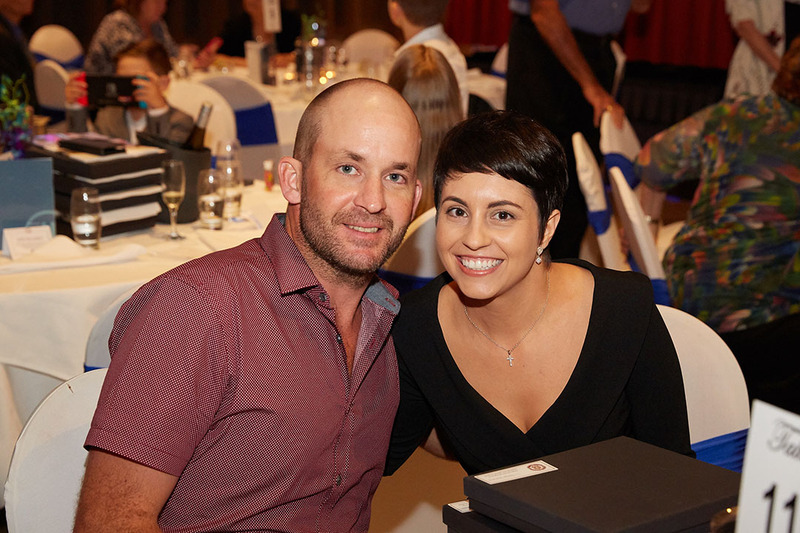 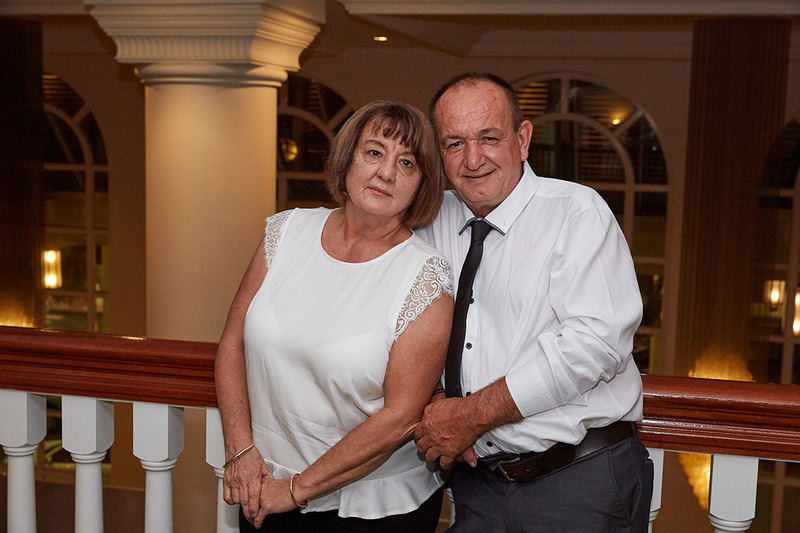 The celebrations continued on Saturday, May 19th, 2018 at the Pullman Reef Hotel for a formal dinner. 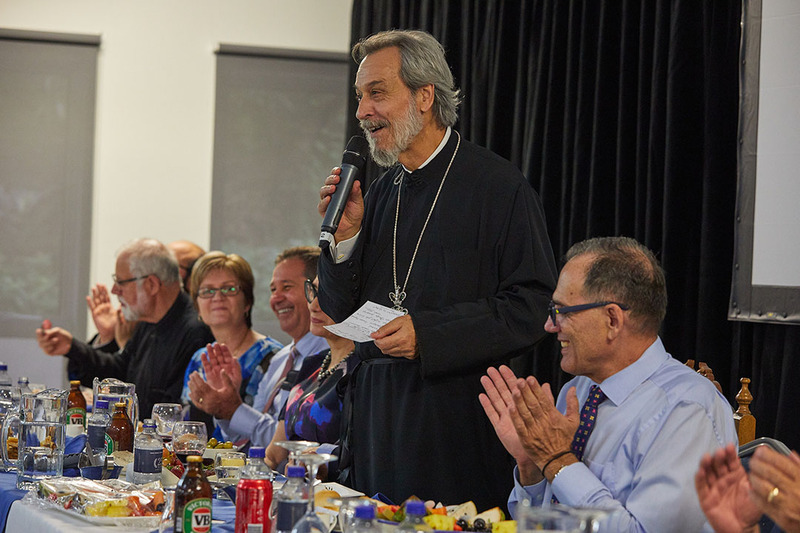 The Silver Jubilee Dinner enjoyed the presence of His Grace Bishop Seraphim representing His Eminence Archbishop Stylianos and official guest; Bob Manning & Mrs Manning Mayor of Cairns Regional Council, John Kremastos & Mrs Kremastos, Mayor Cassowary Coast Regional Council, Jim & Helen Raptis Honorary Greek Consul Queensland, Mr. Michael Diamond, Mr & Mrs Stan Pallassis, Divisional Councillors Cairns Regional Council, Visiting Clergy, Parish & Community Presidents Townsville Brisbane and Innisfail. 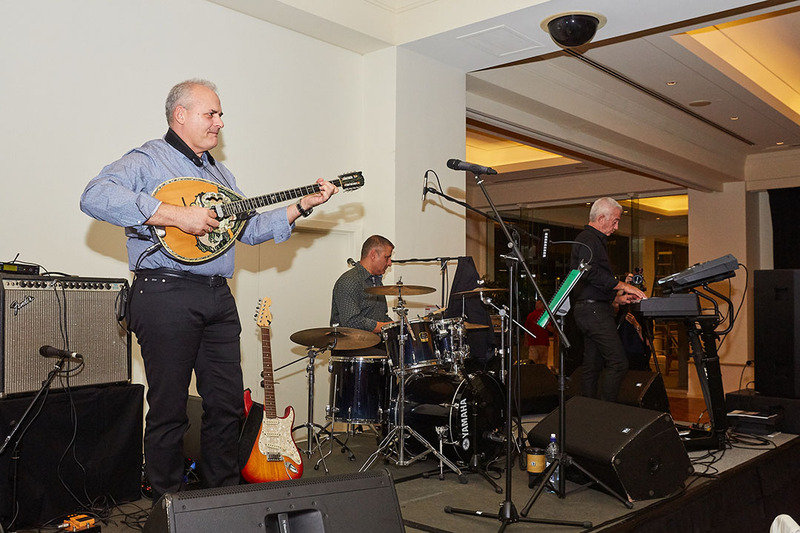 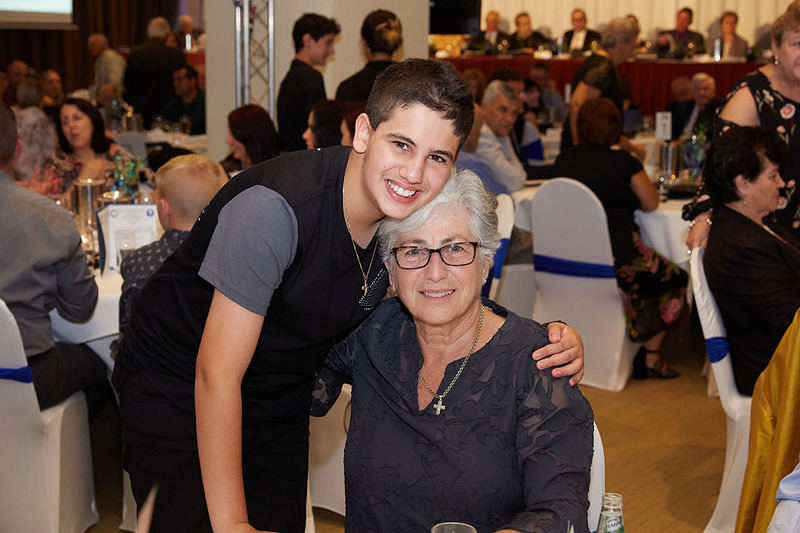 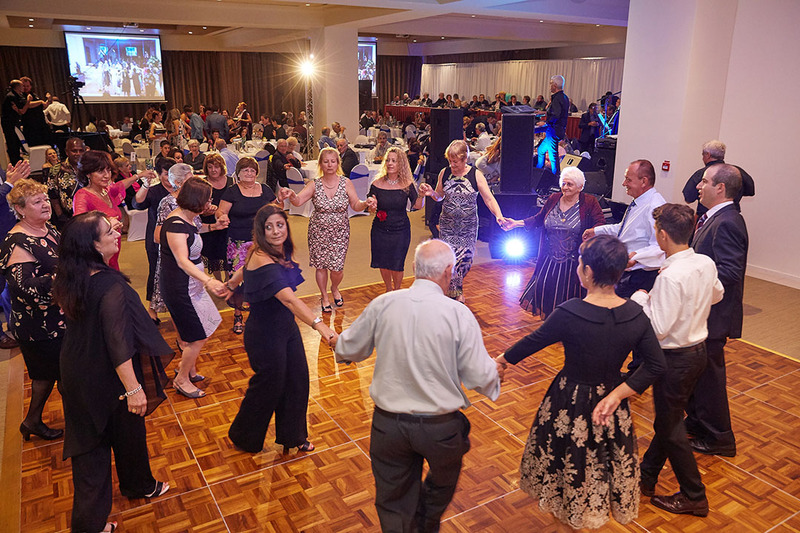 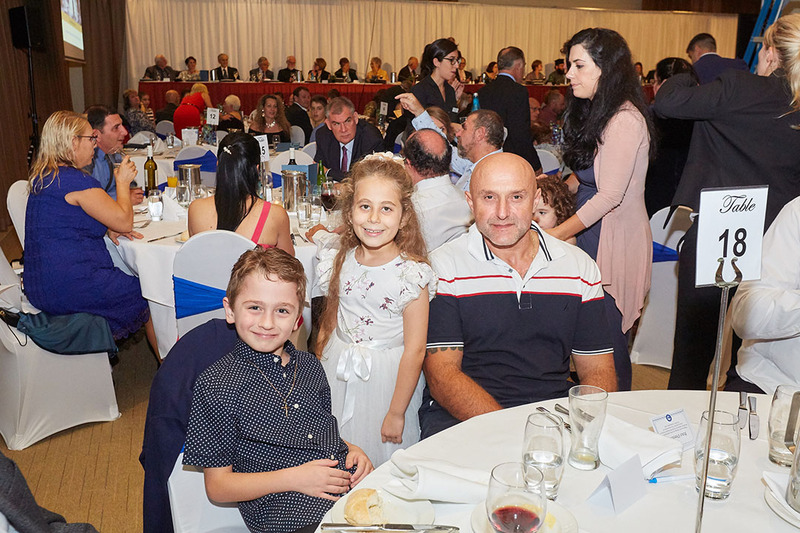 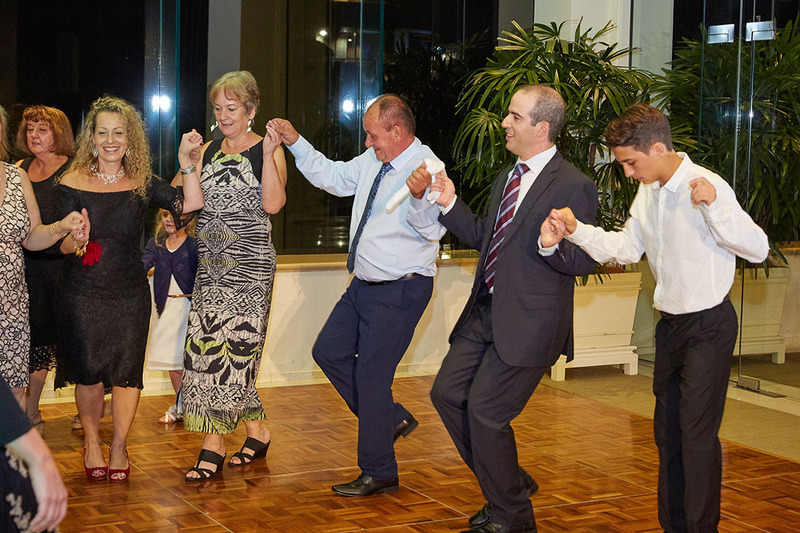 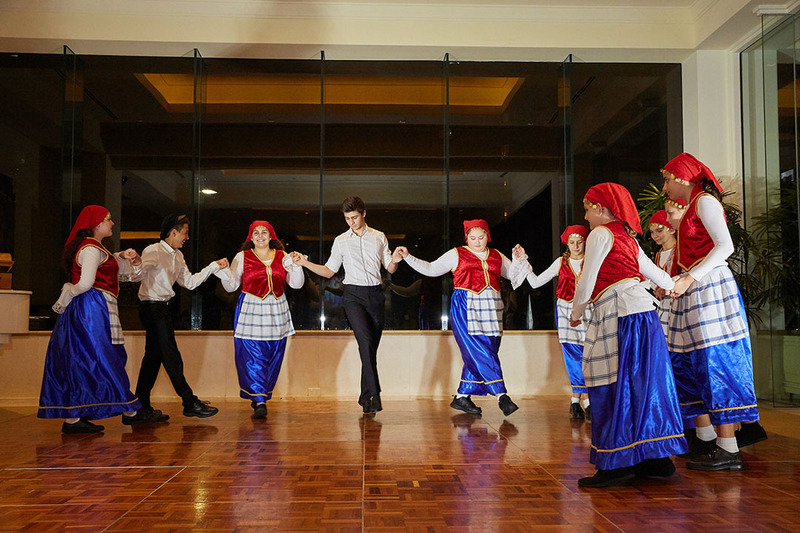 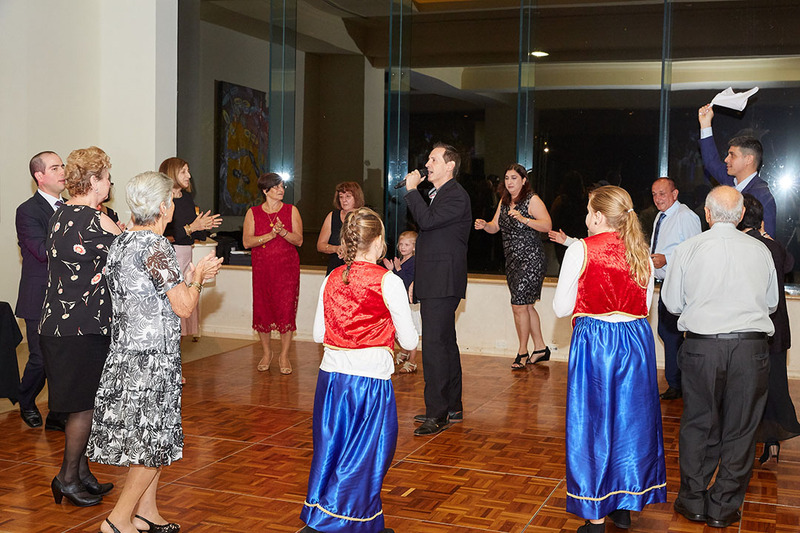 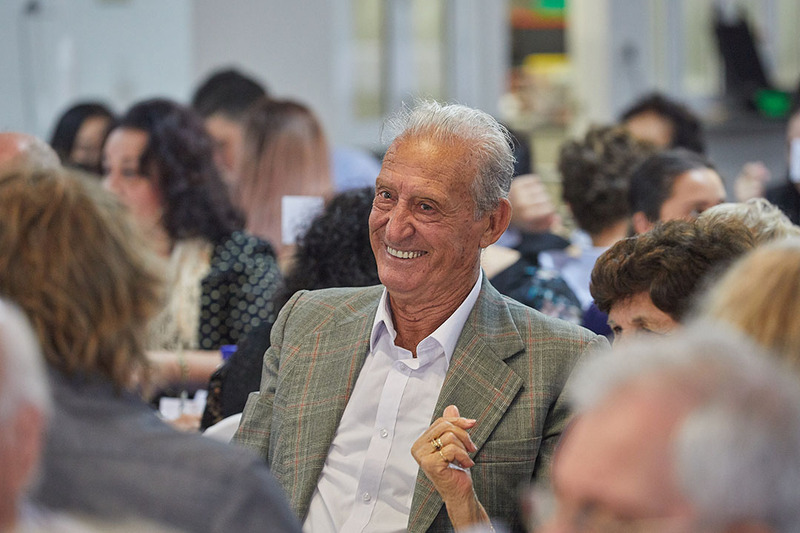 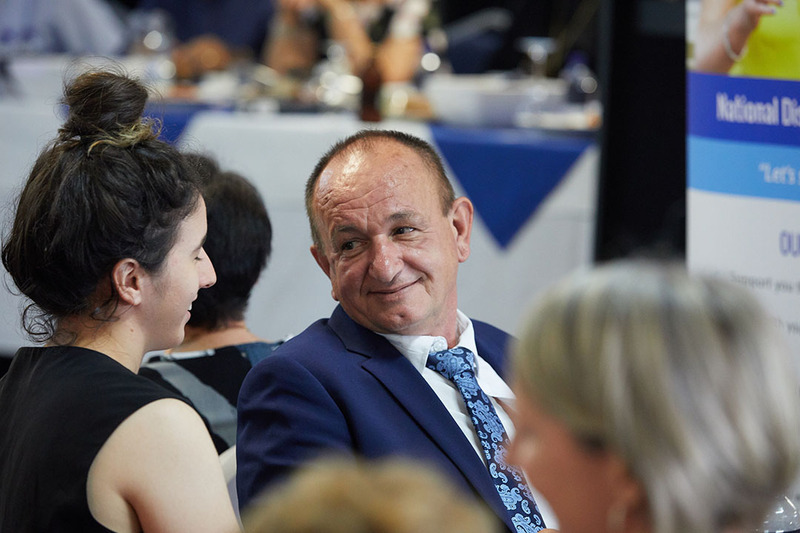 The Greek Language School and Parish Dance Group provided entertainment for all guests which proved popular and encouraged many to join in. 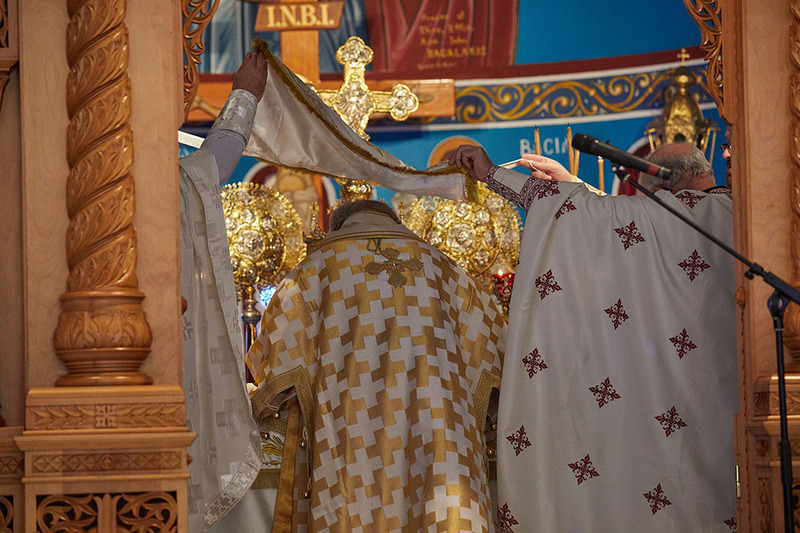 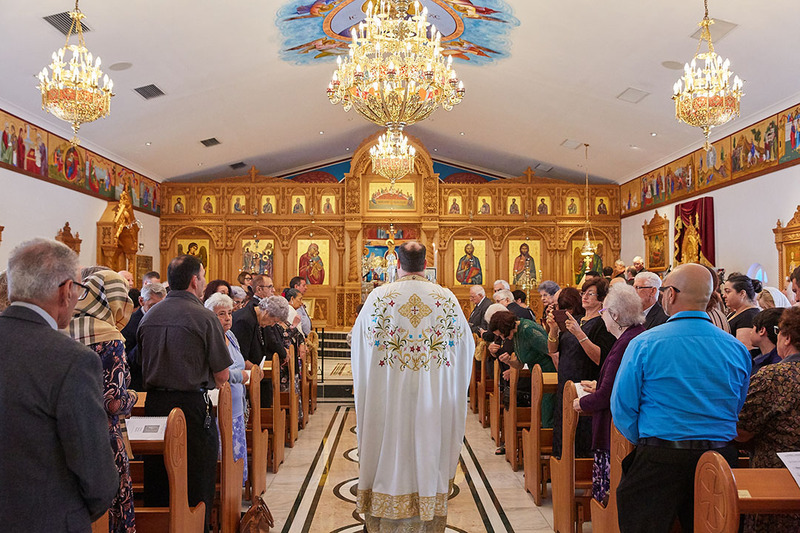 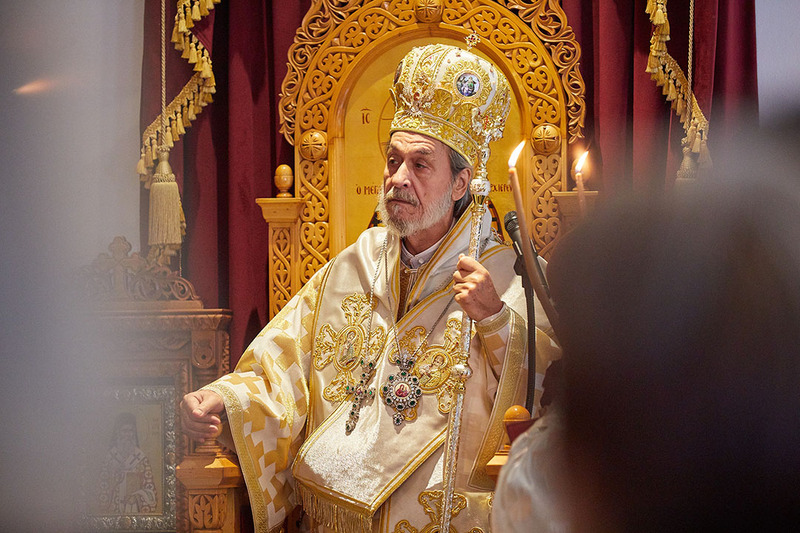 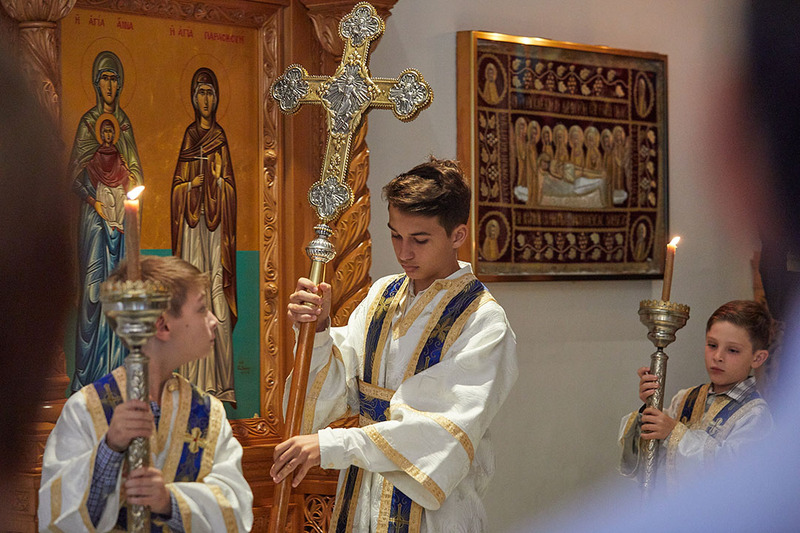 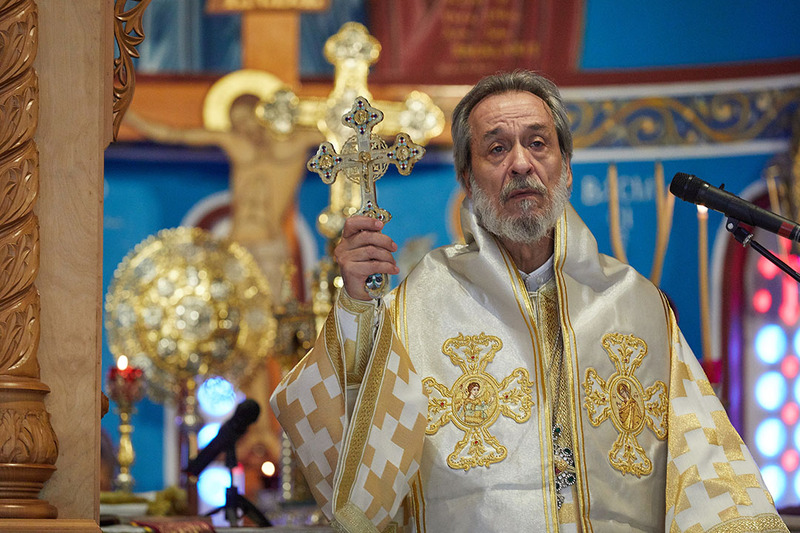 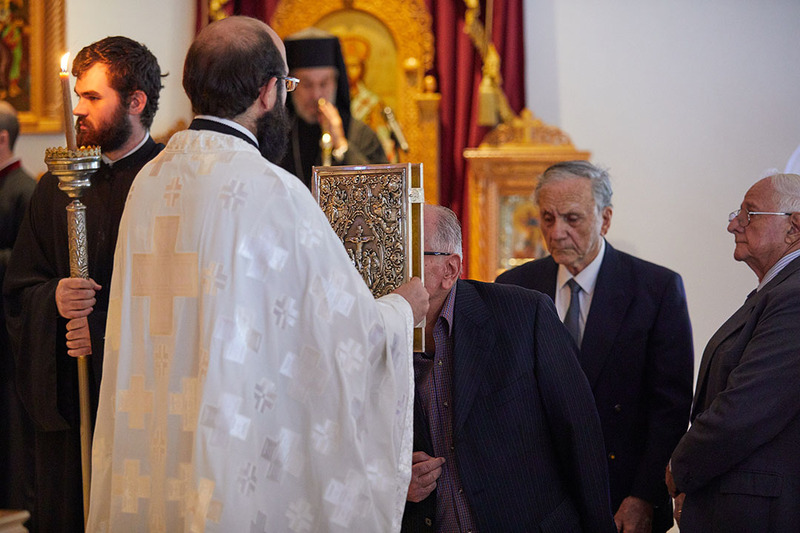 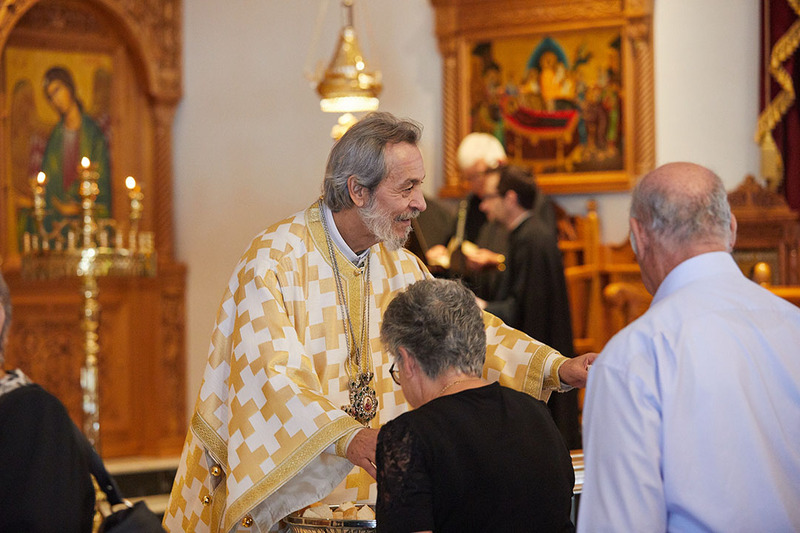 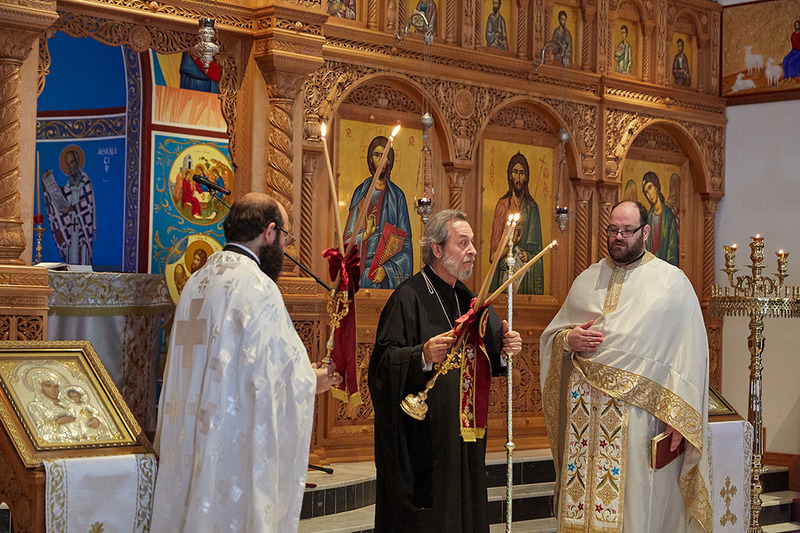 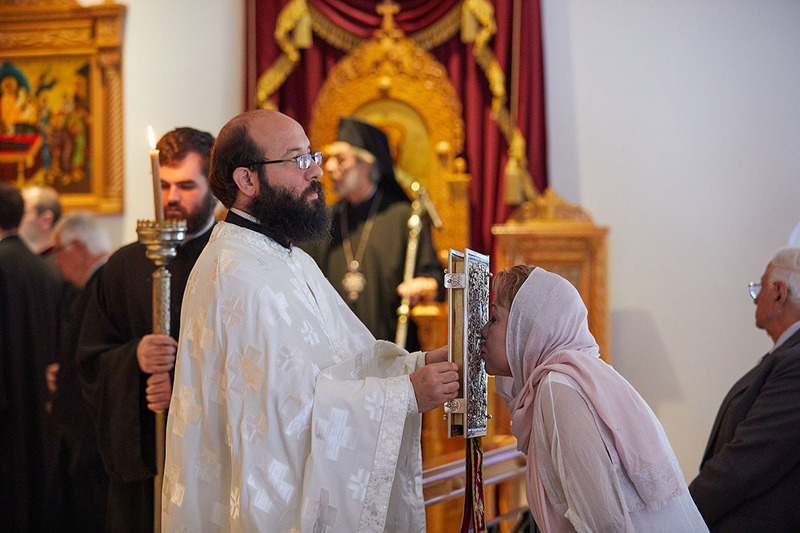 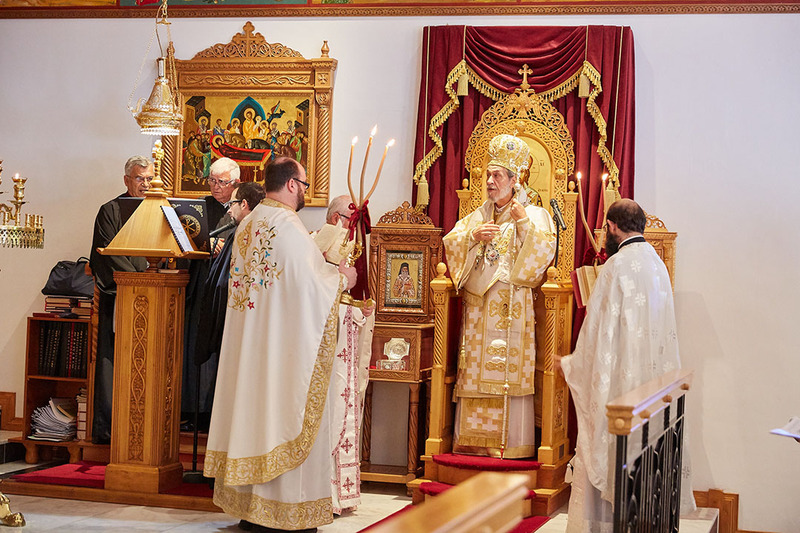 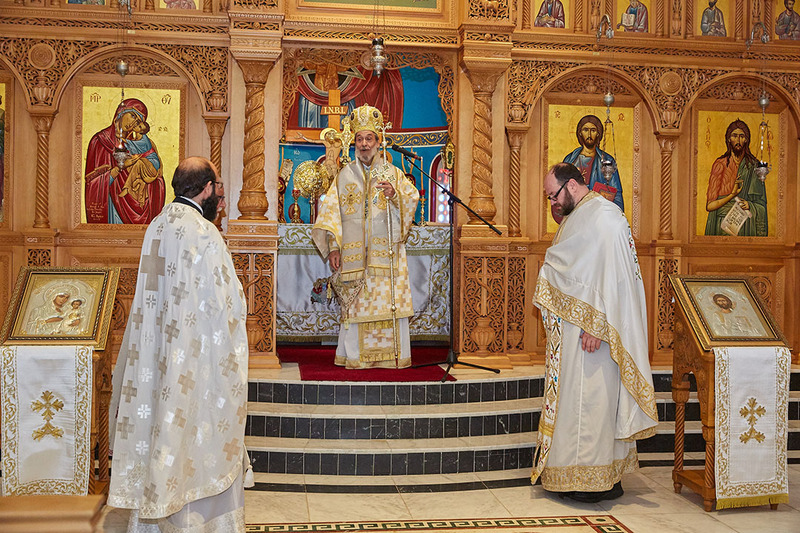 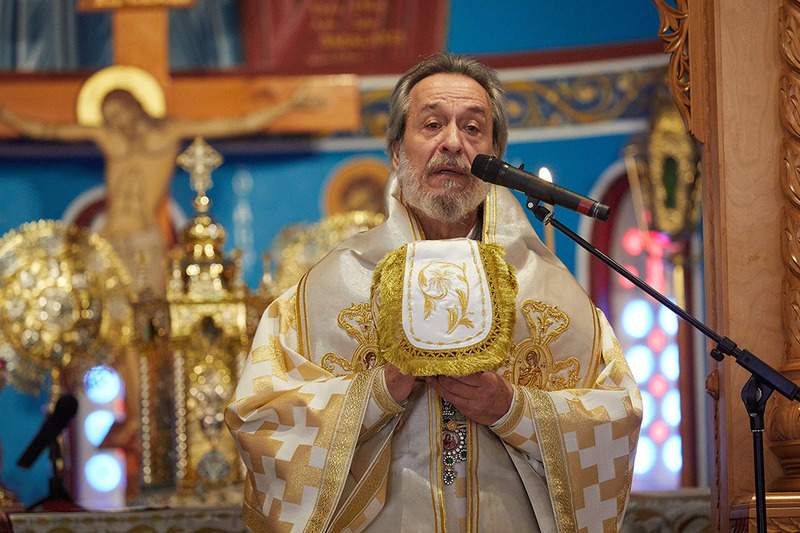 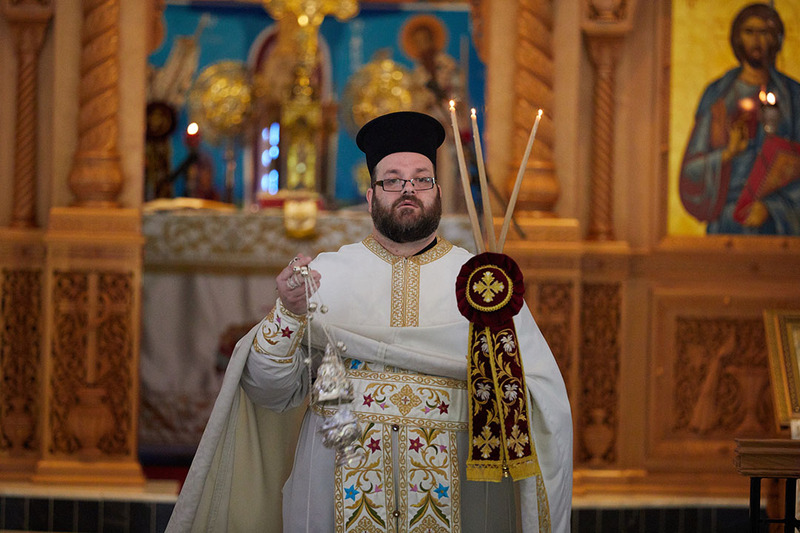 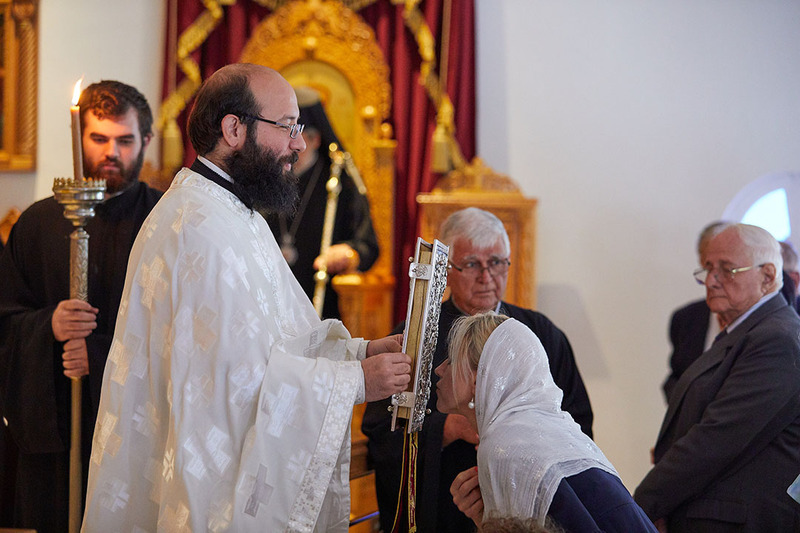 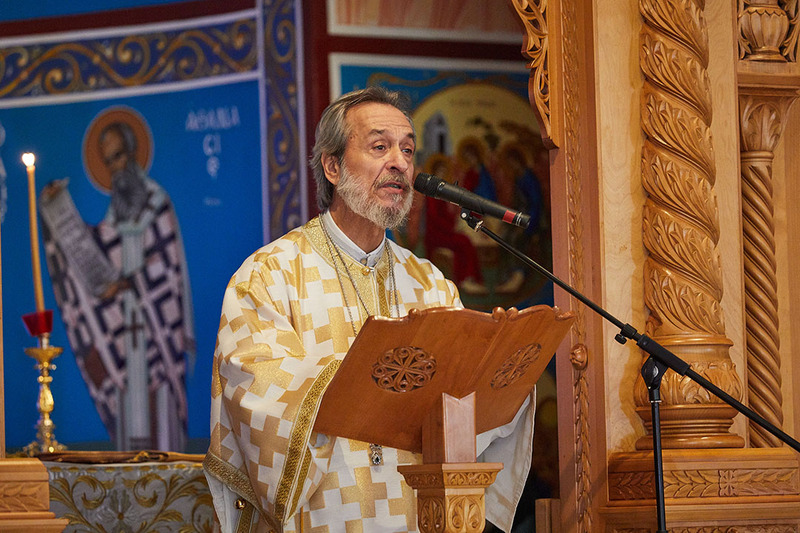 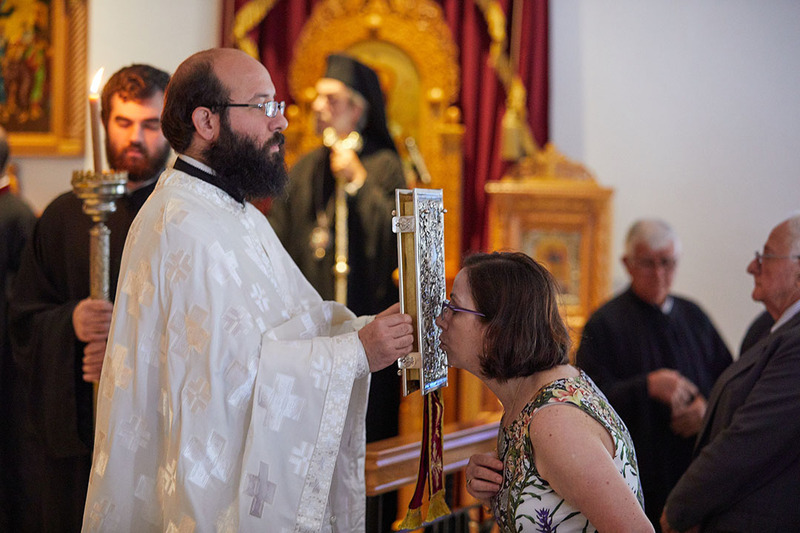 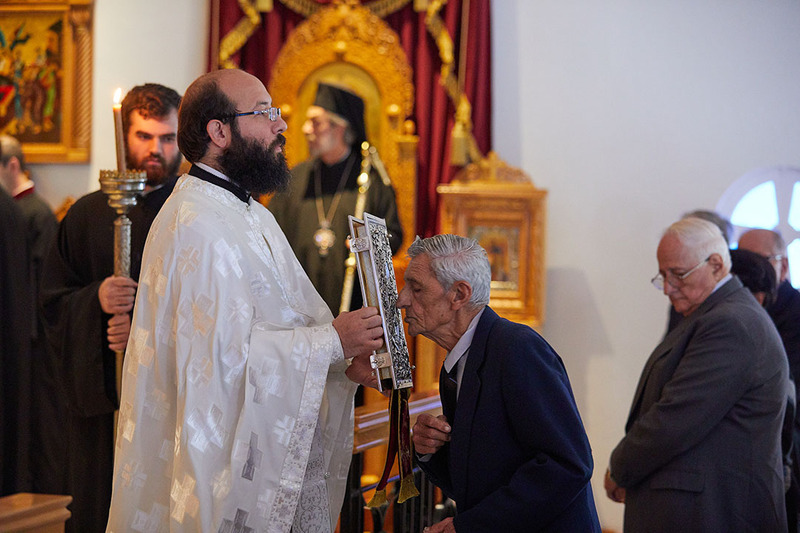 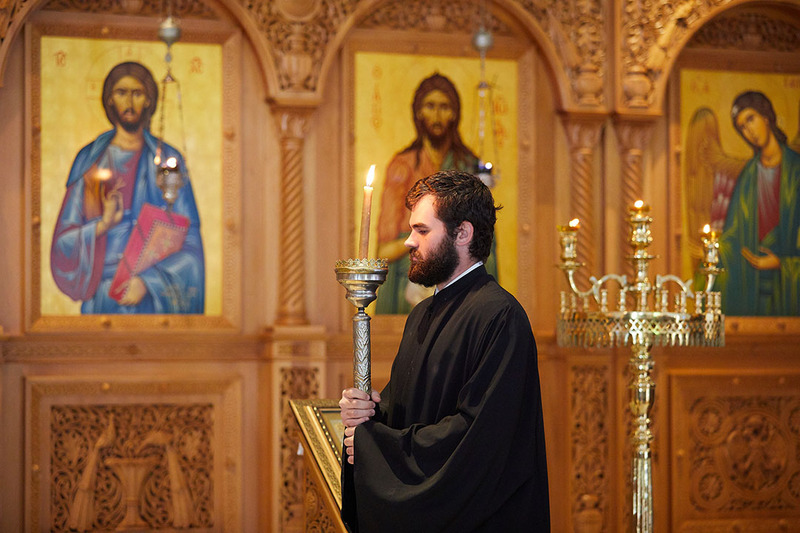 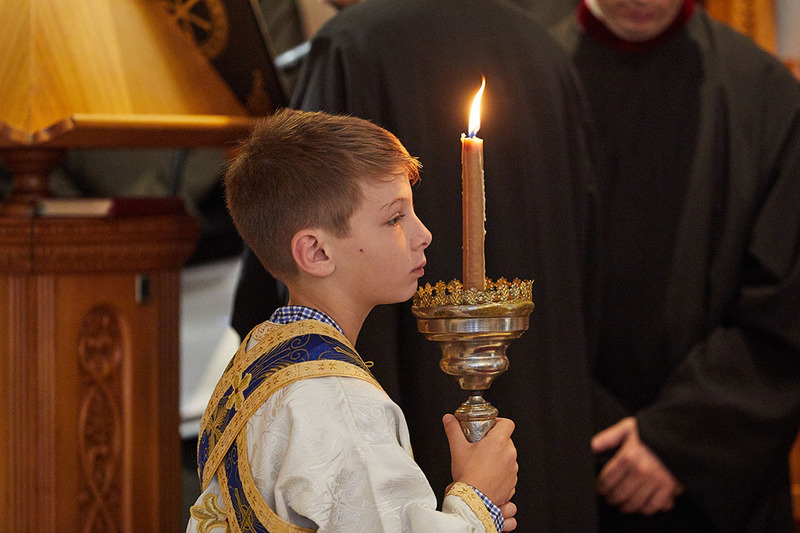 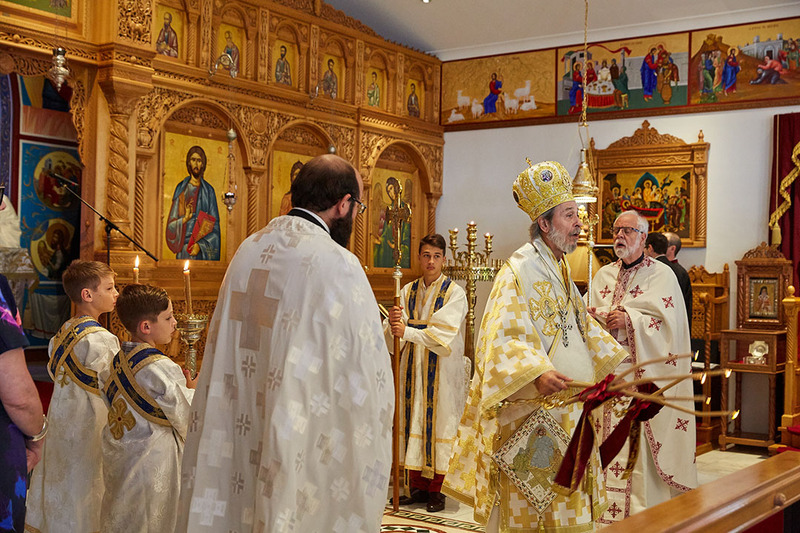 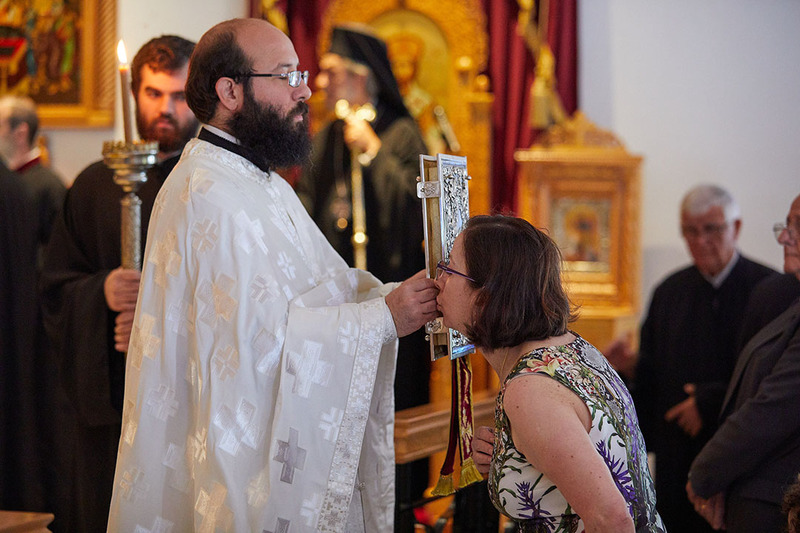 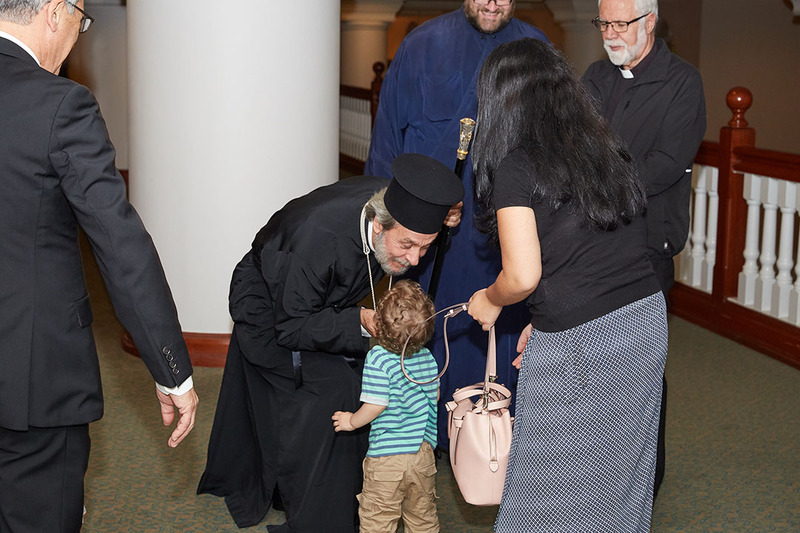 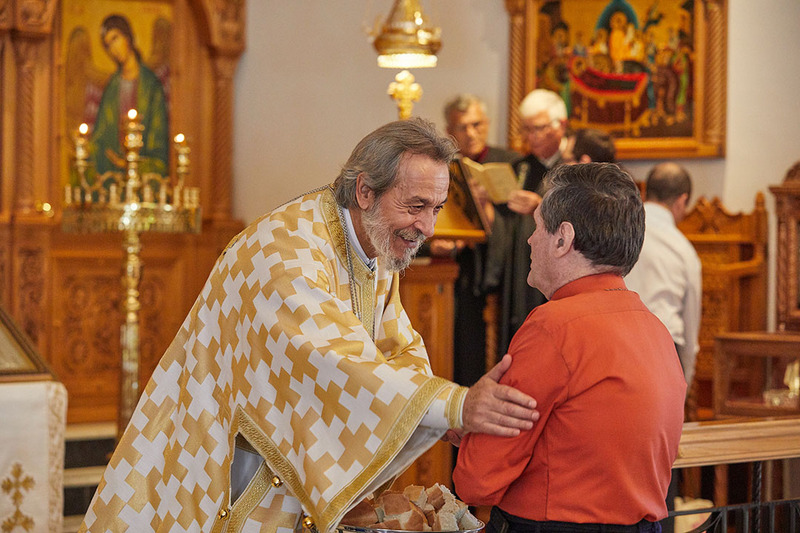 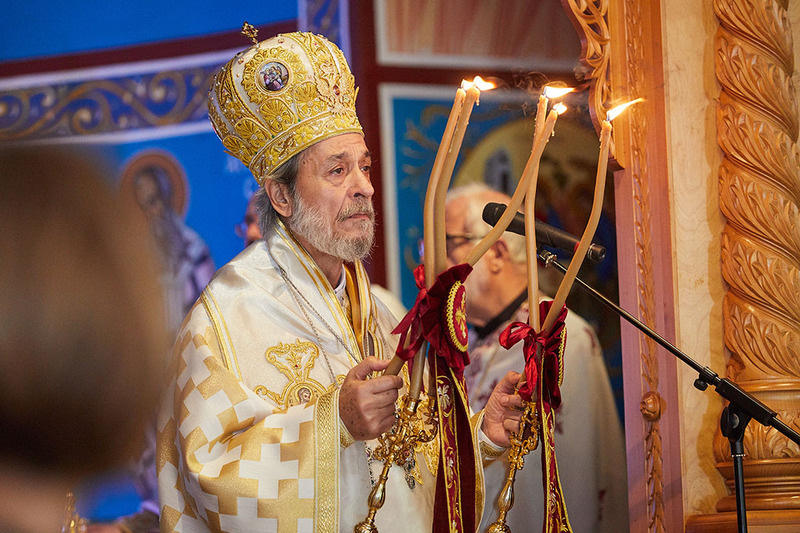 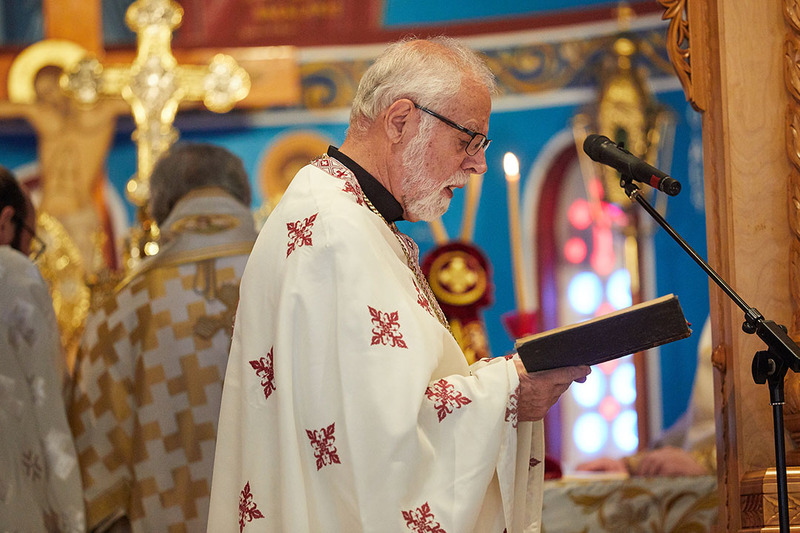 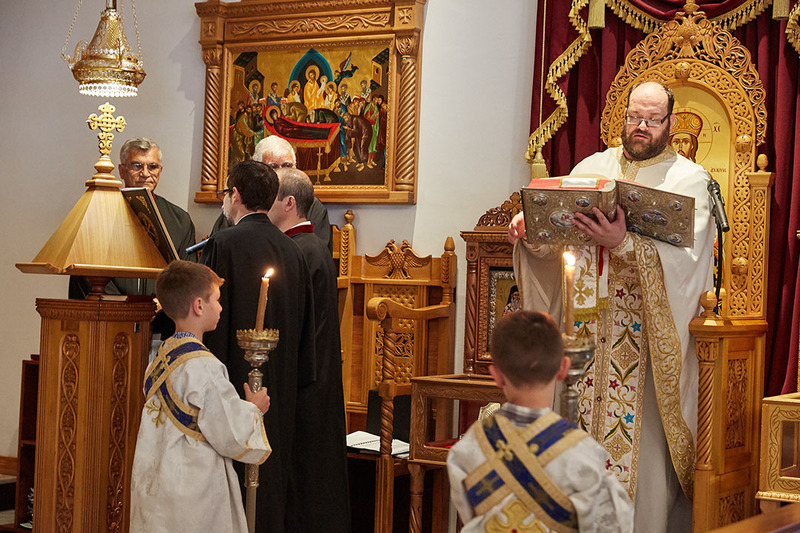 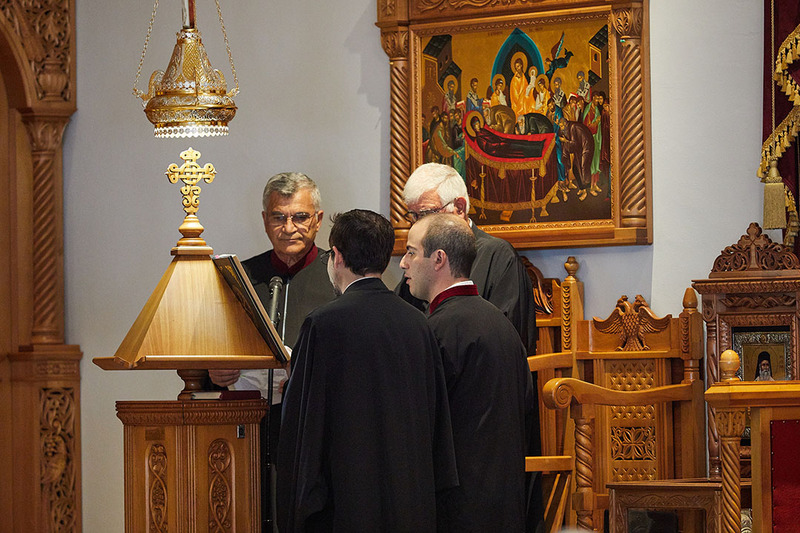 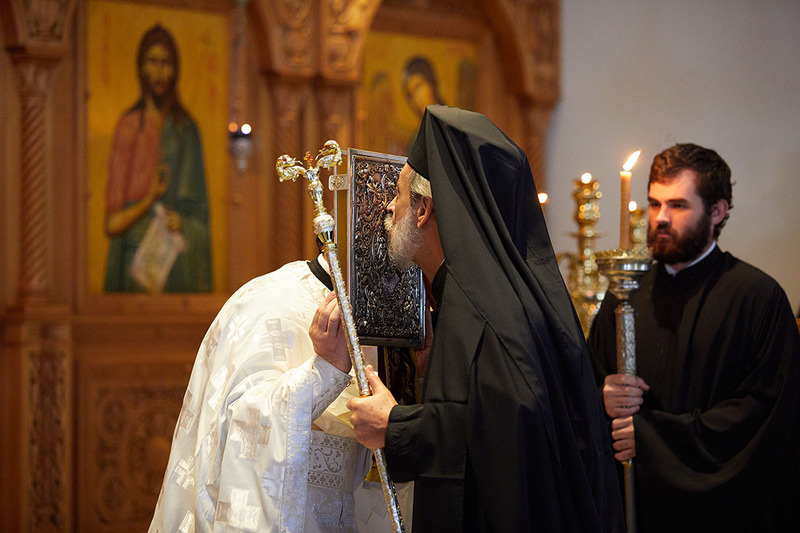 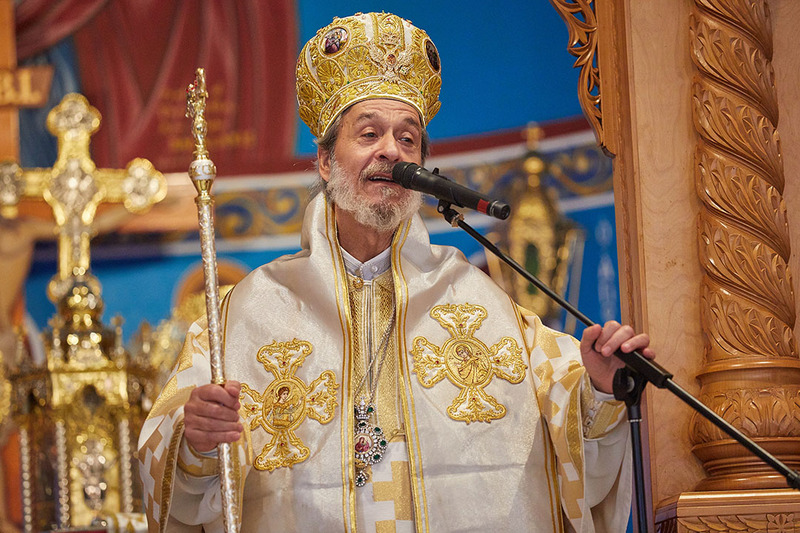 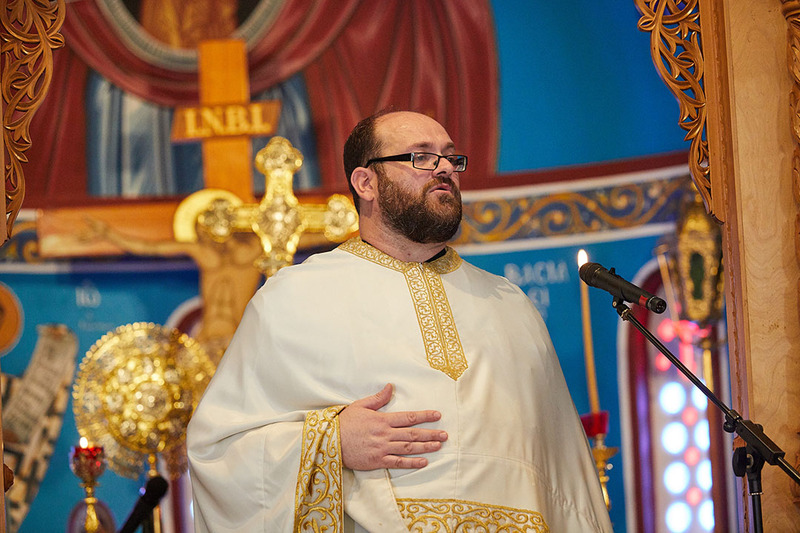 The Divine Liturgy to commemorate the inauguration was conducted by His Grace Bishop Seraphim on Sunday, May 20th, 2018. 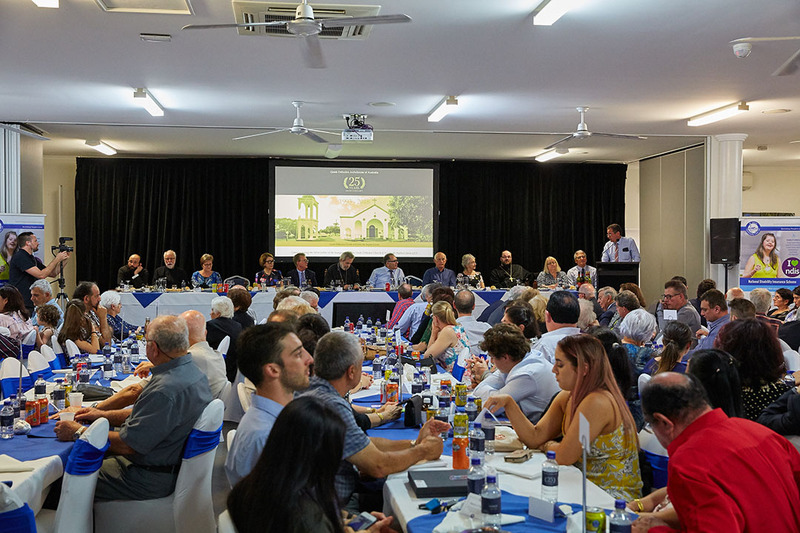 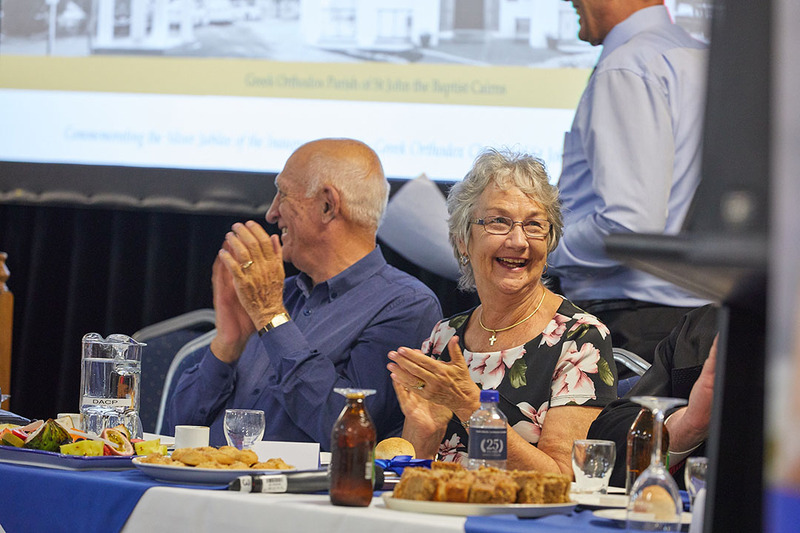 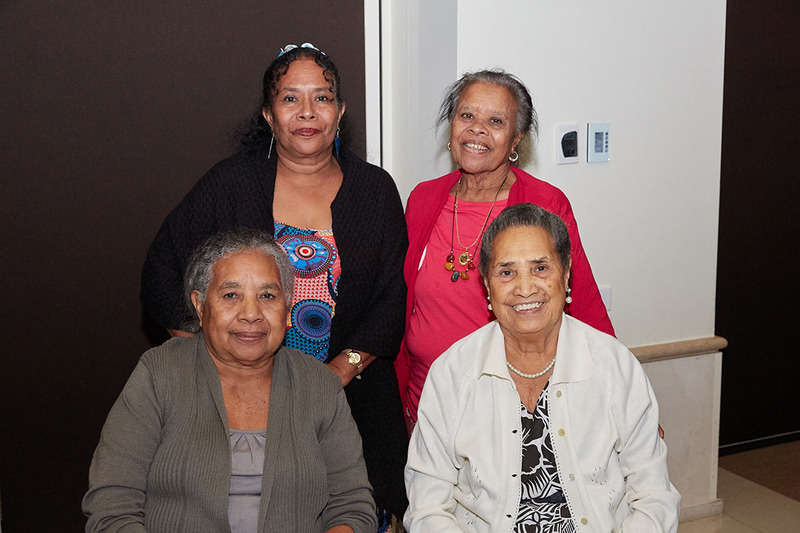 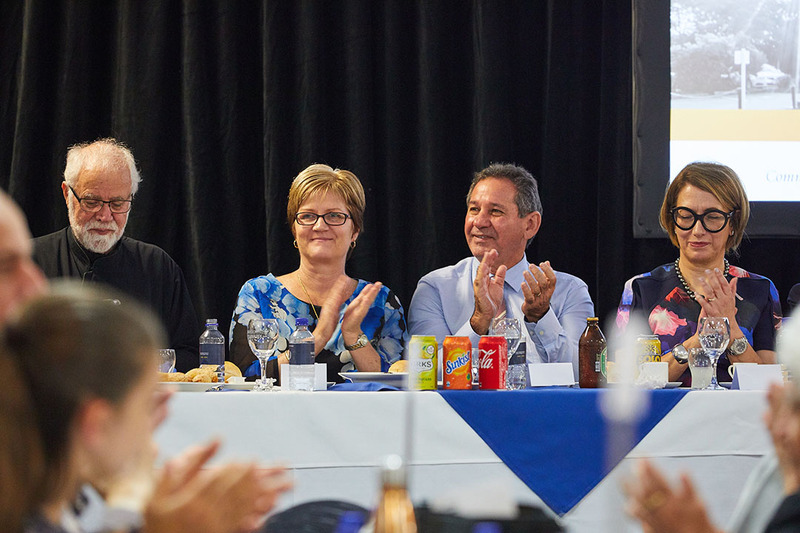 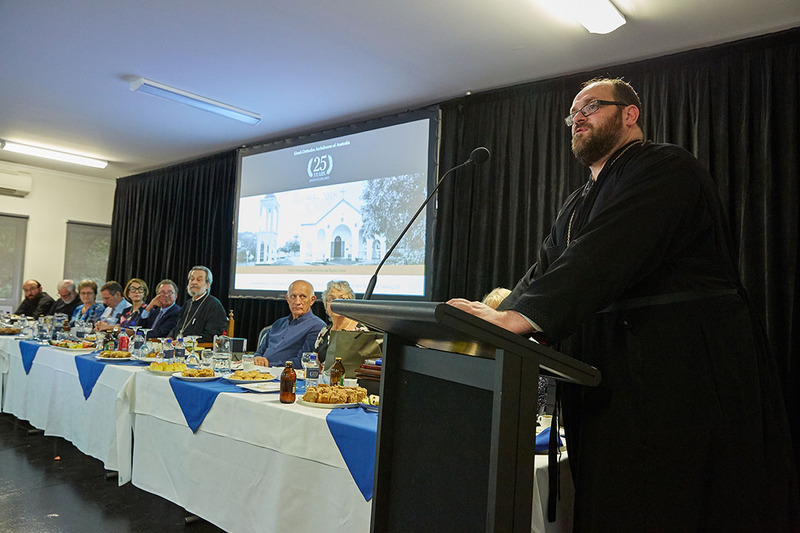 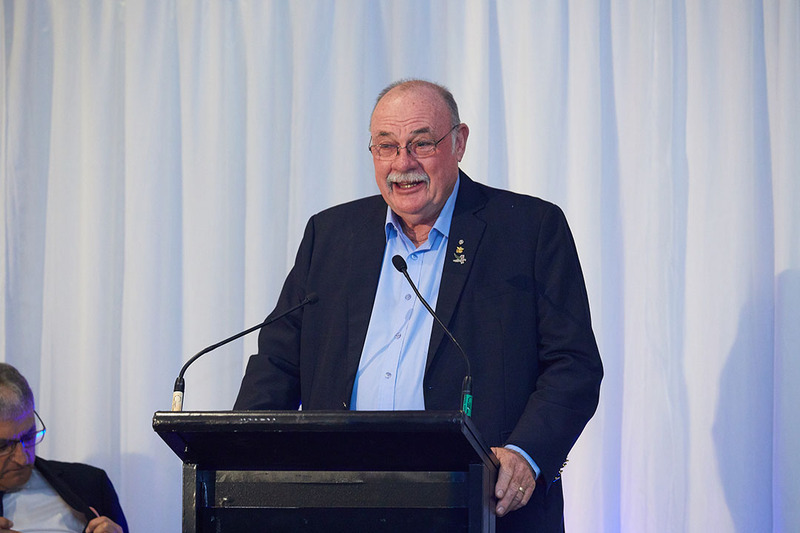 This was followed by the official luncheon at the St. John’s Parish Hall in Redlynch. 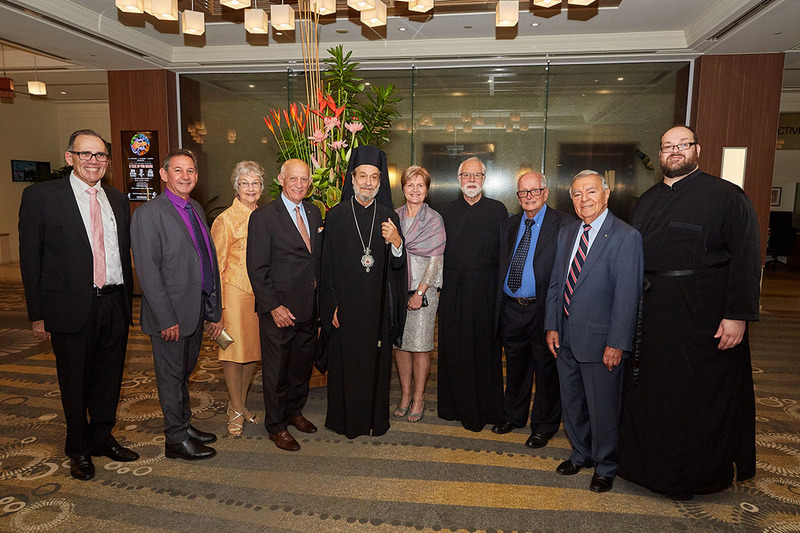 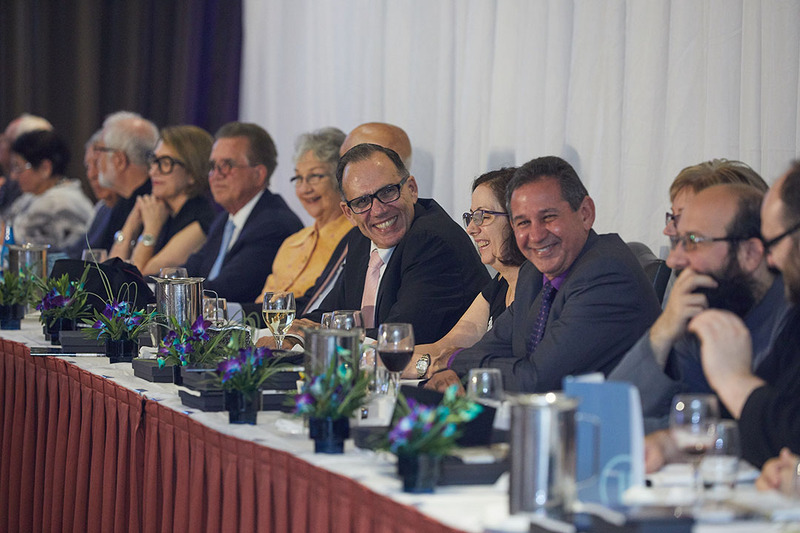 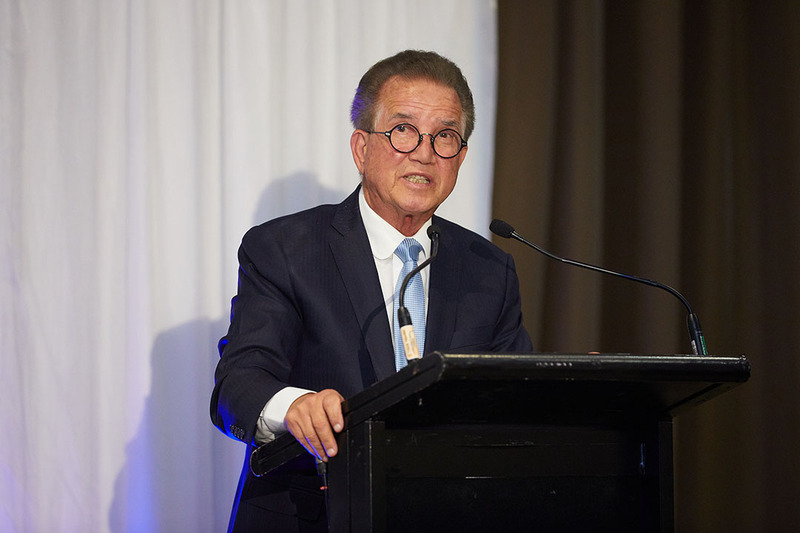 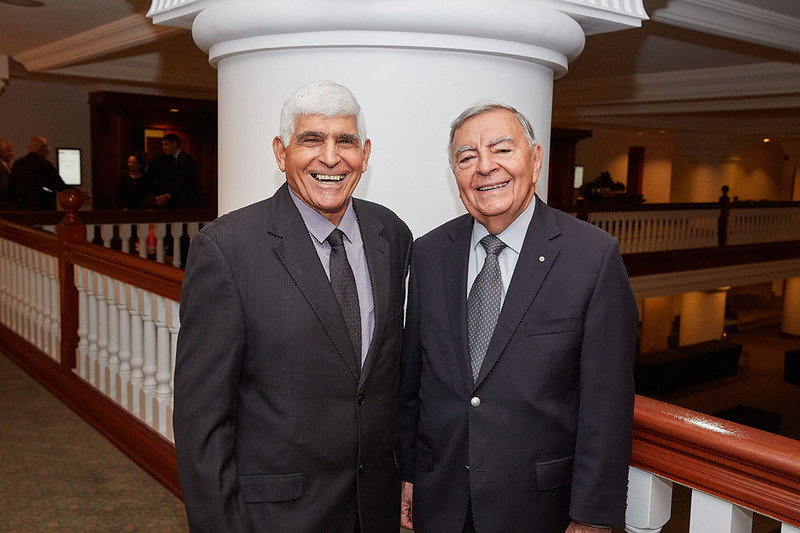 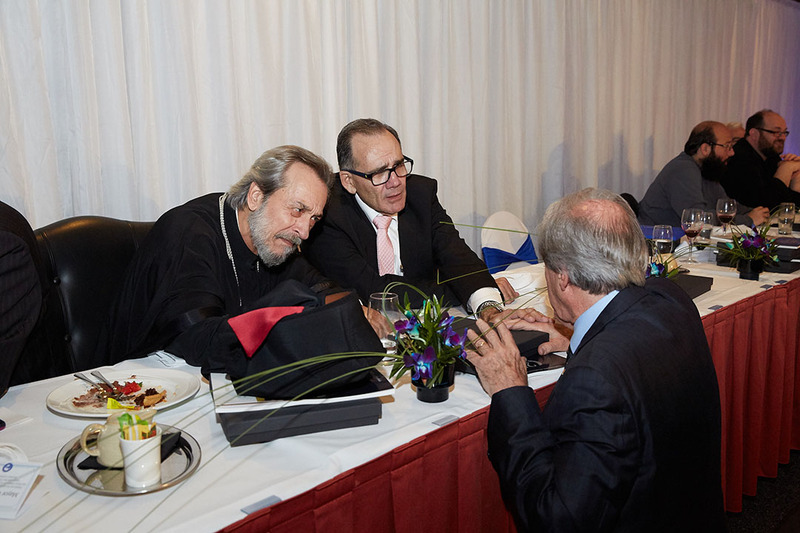 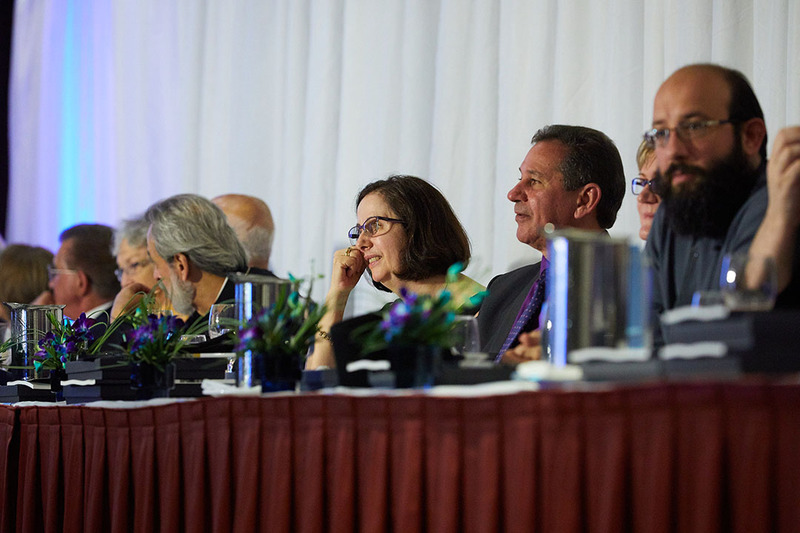 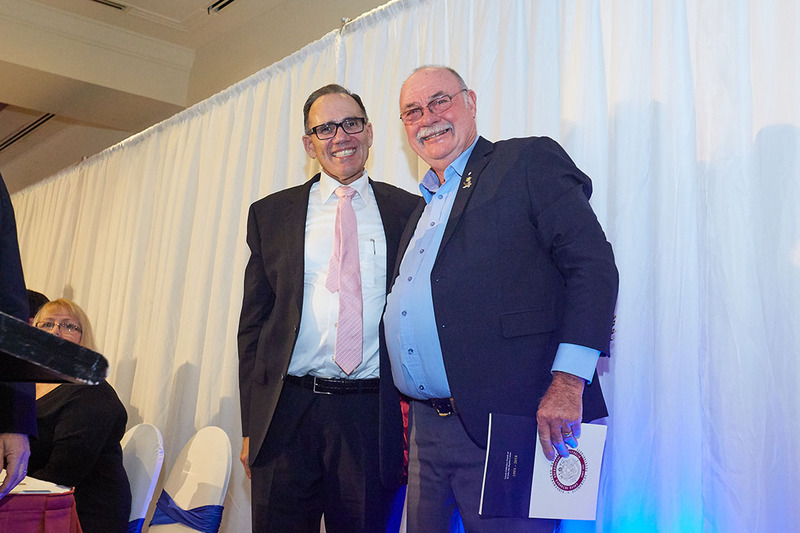 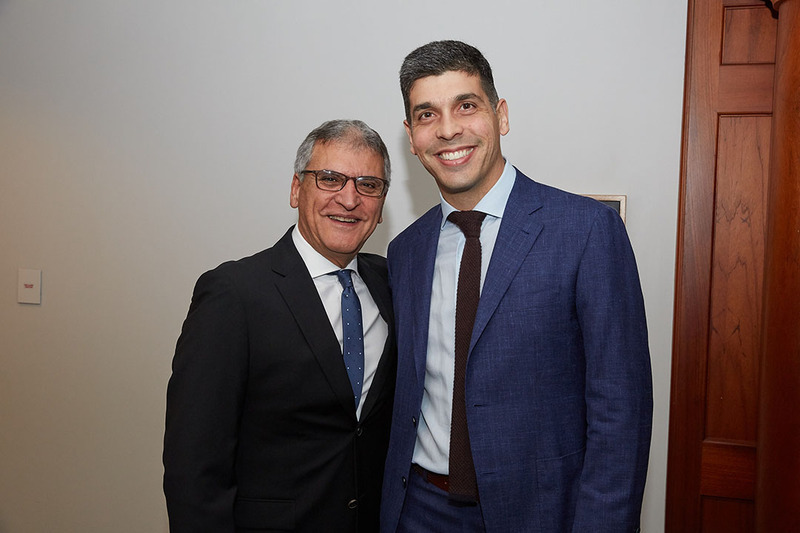 Thank you to the dignitaries who attended and joined in celebrating our 25 Year Anniversary. 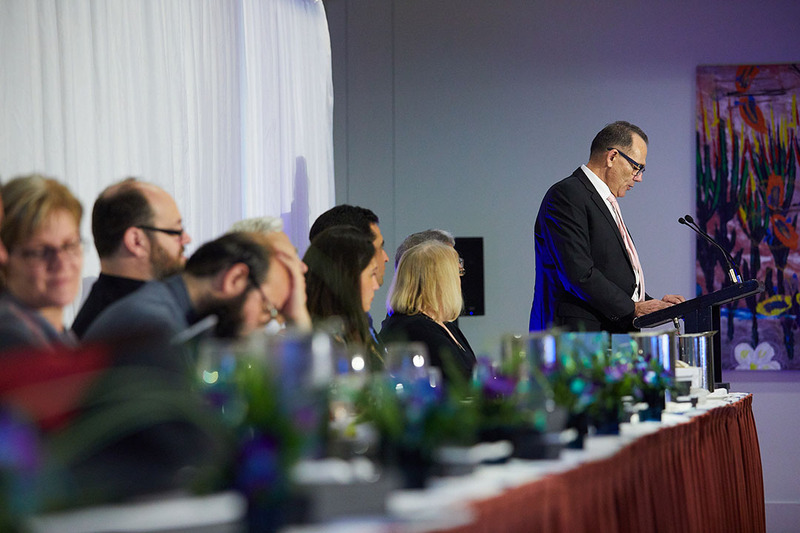 Also, thank you to the many, many people who have helped us achieve this significant milestone.